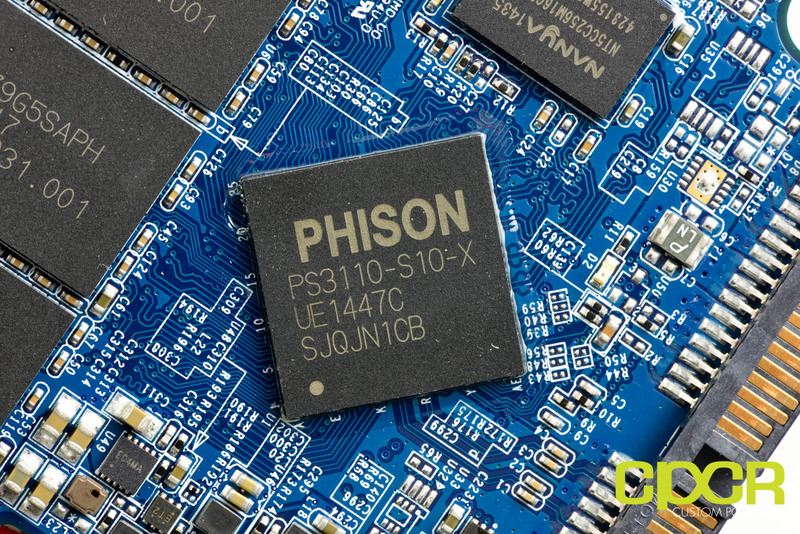 Although once dominant as the go to pre-packaged SSD controller solution for most tier 2 and tier 3 SSD manufacturers, SandForce’s aging SF-2281 controller has been rapidly losing marketshare as of late thanks to newer pre-packaged controller offerings from Phison and Silicon Motion. 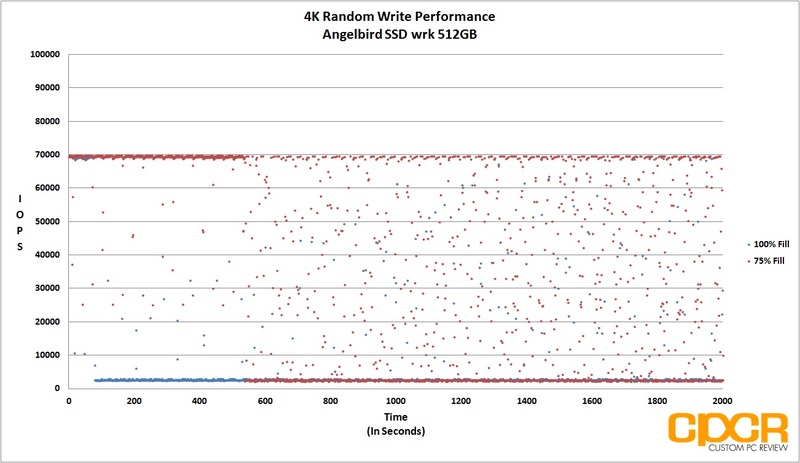 Last year we reviewed the Angelbird SSD wrk which was an excellent SSD that featured Silicon Motion’s SM2246EN controller, and at the same time Phison had been shipping their new high performance S10 controller in the very well received Corsair Neutron XT. Although we didn’t get to test the Corsair Neutron XT at the time, we did recently receive a review unit of the Patriot Ignite, which as luck would have it, utilizes Phison’s new controller. The Patriot Ignite SSD is Patriot’s latest SSD designed for the entry/mid range. 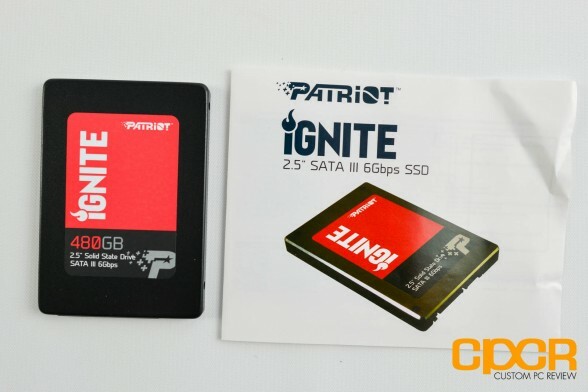 Patriot markets it as a slightly higher end product than their Torch SSD, but it’s a lower end product than their Blaze and Pyro SSDs. The Patriot Ignite is probably the first consumer SATA SSD I’ve seen on the market that will only be available in capacities of 480GB and 960GB, but that makes sense considering costs have gone down considerably since even last year. 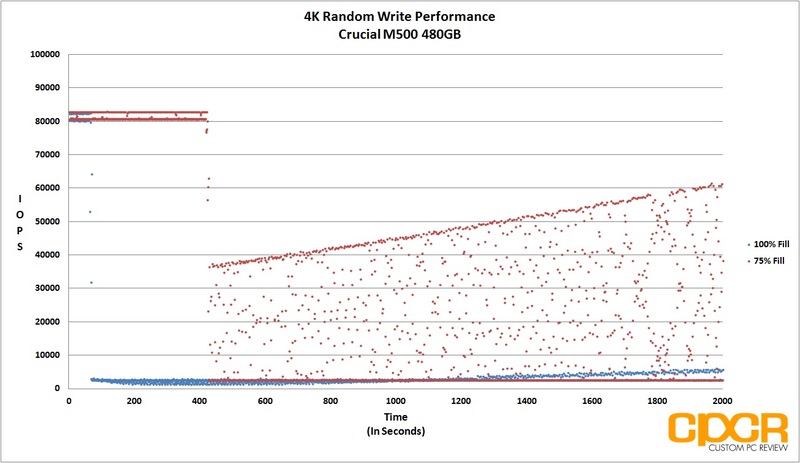 Rated performance is quite good as both the 480GB and 960GB Ignite is rated up to 560MB/s sequential reads and 545MB/s sequential writes. 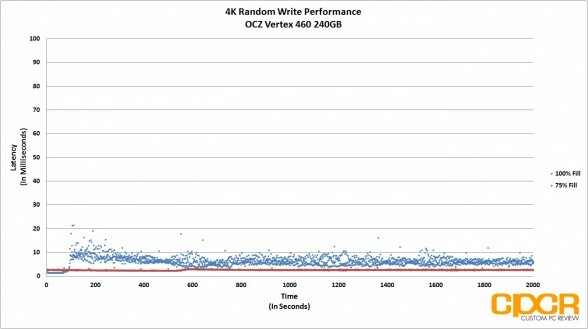 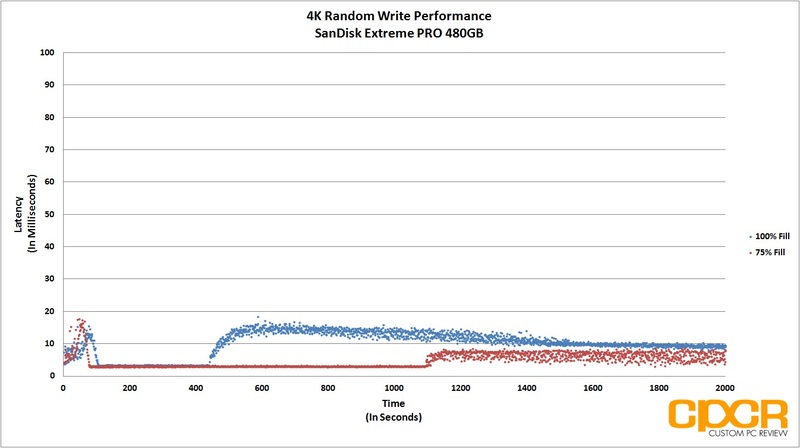 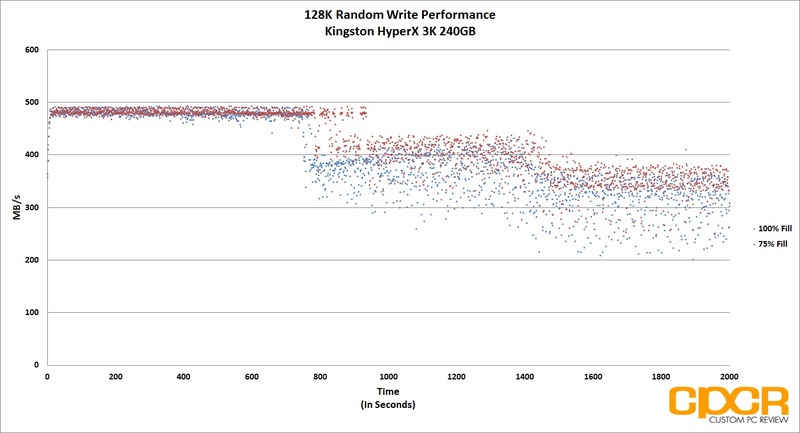 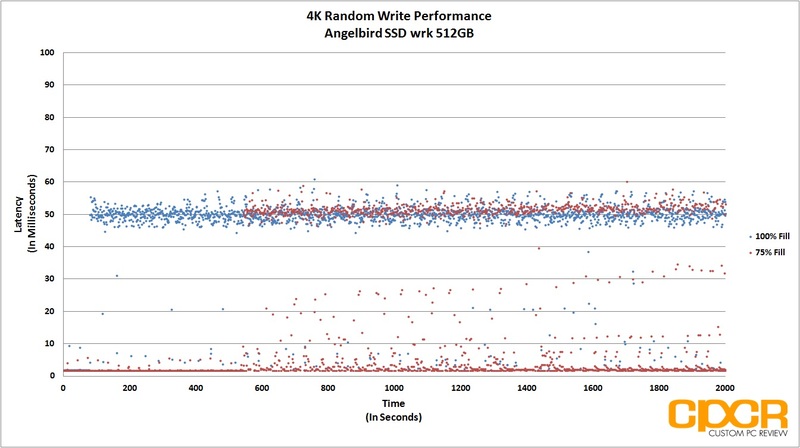 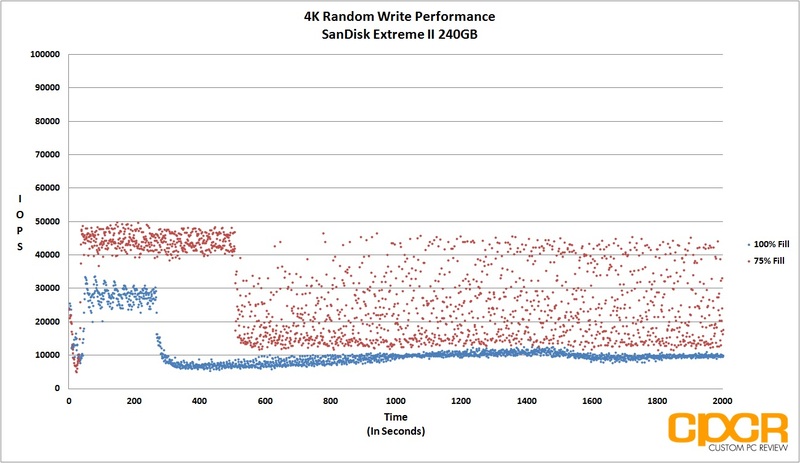 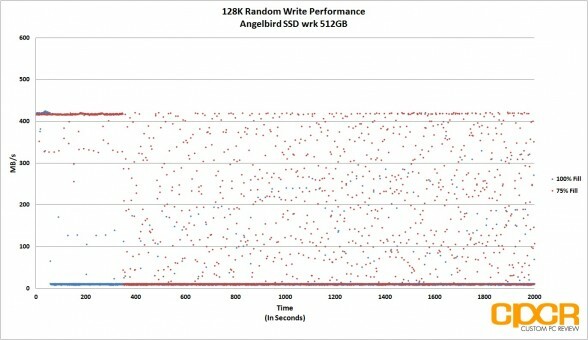 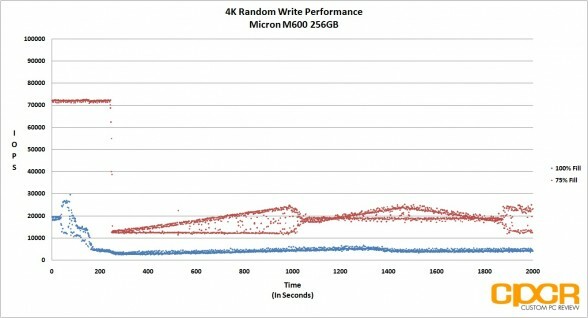 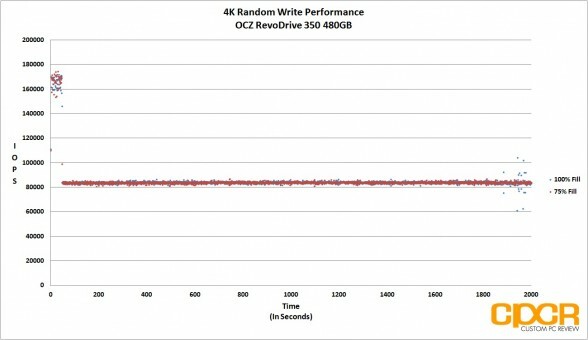 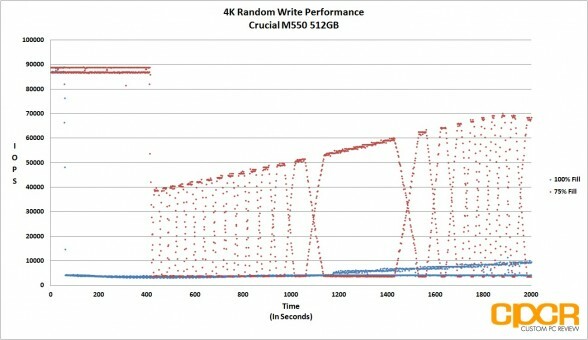 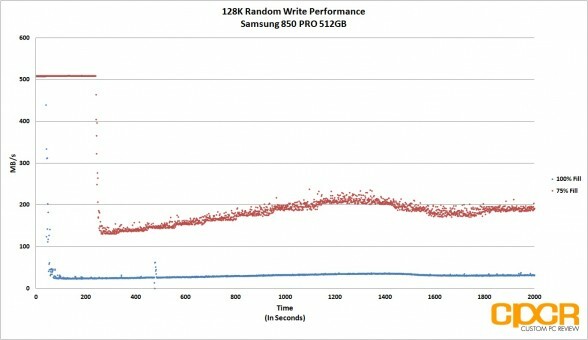 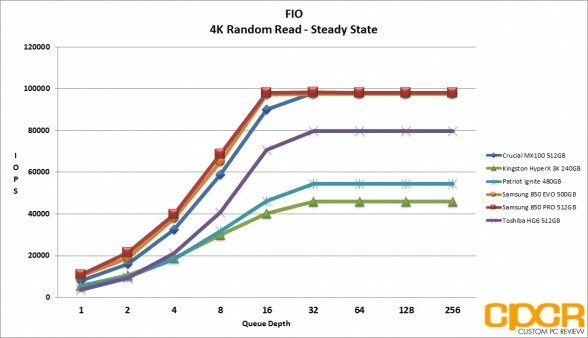 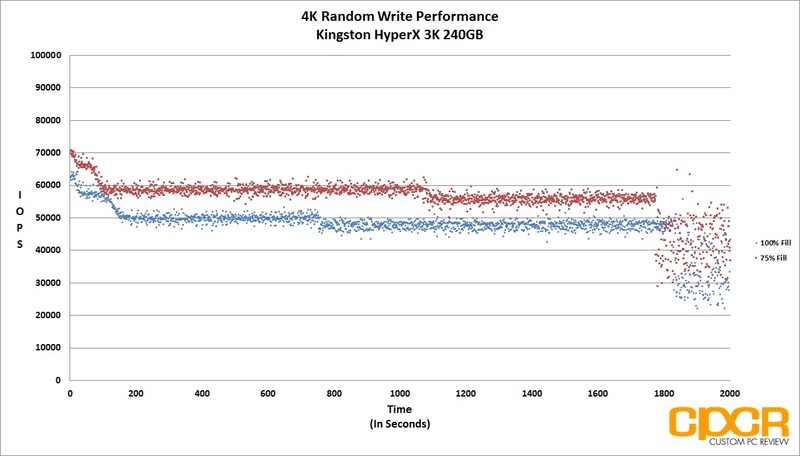 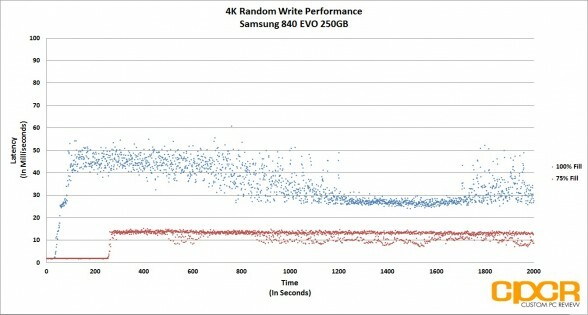 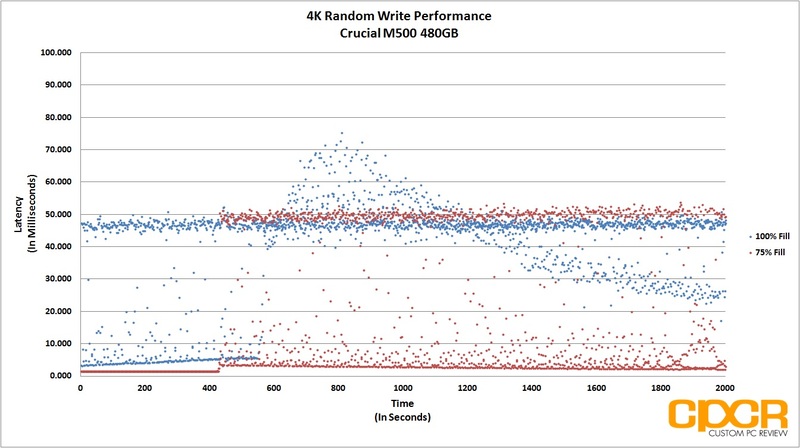 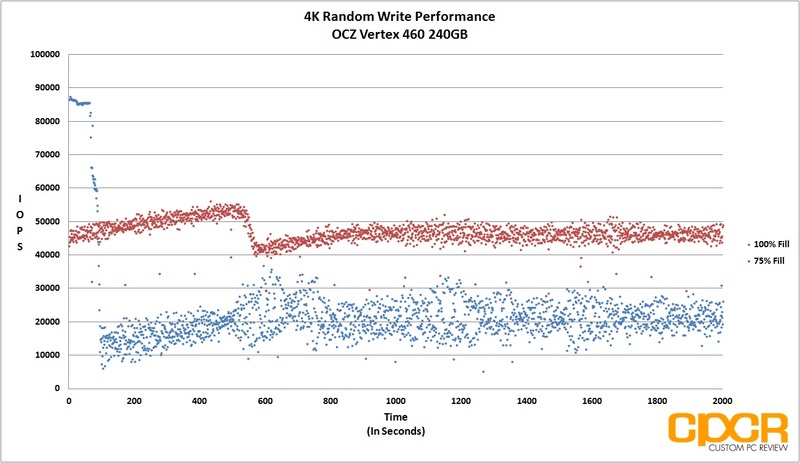 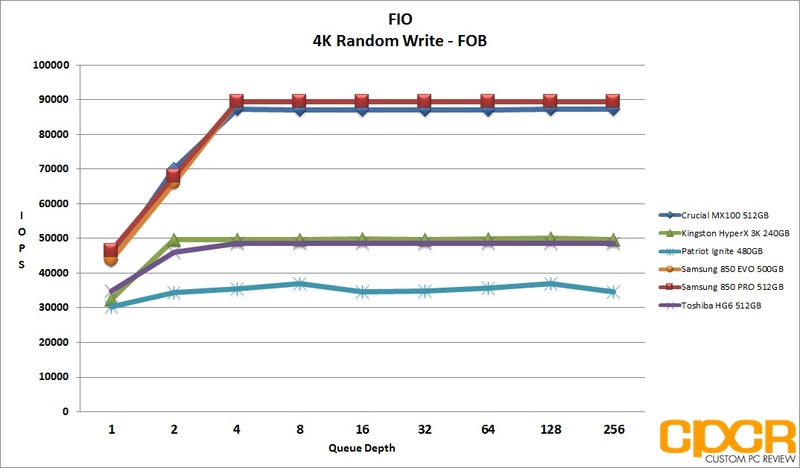 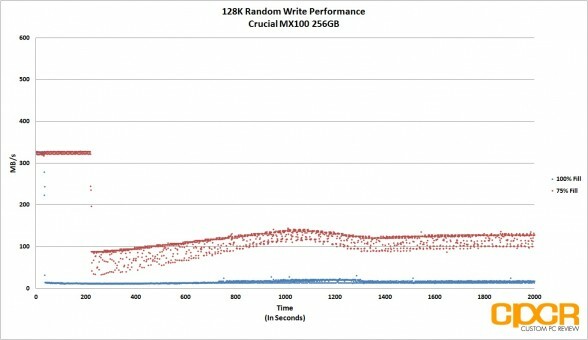 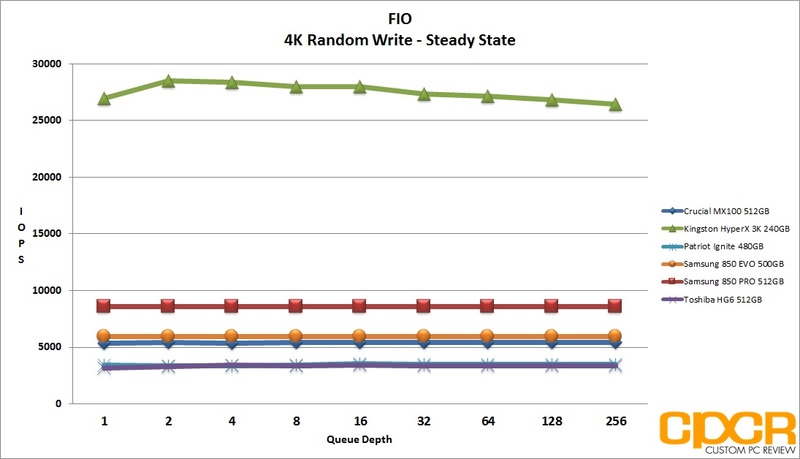 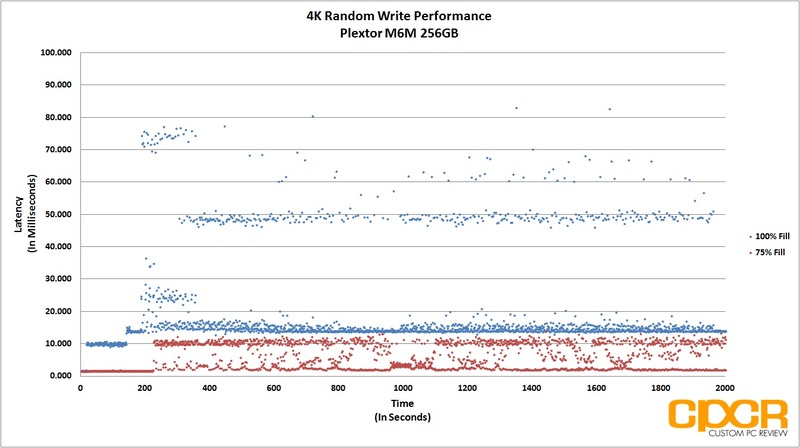 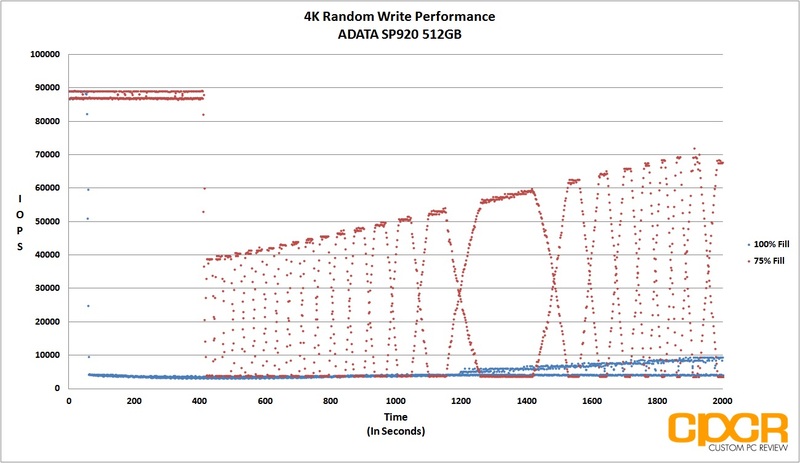 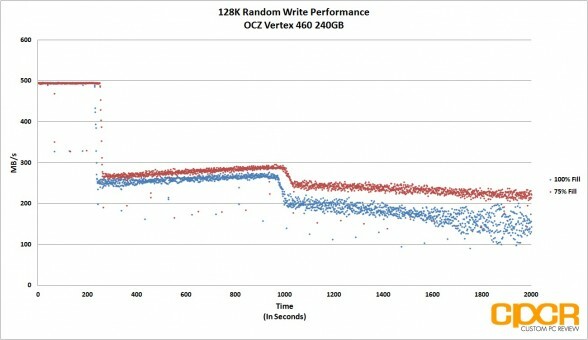 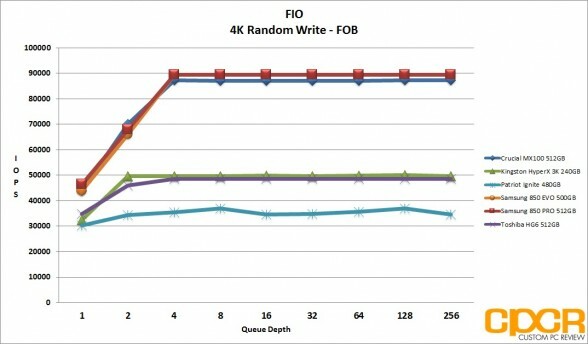 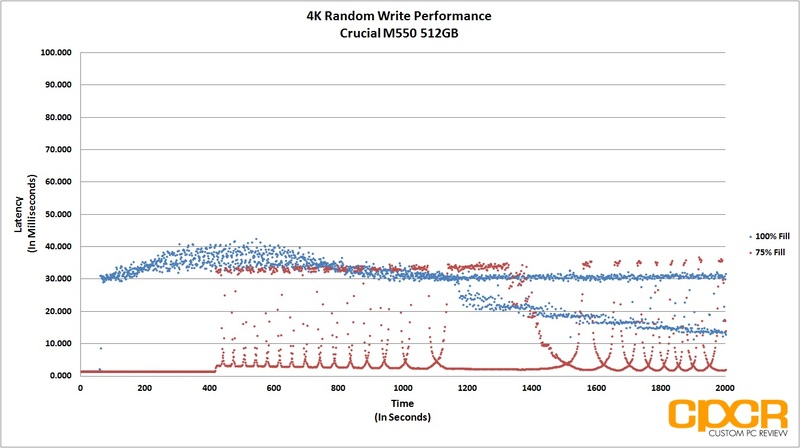 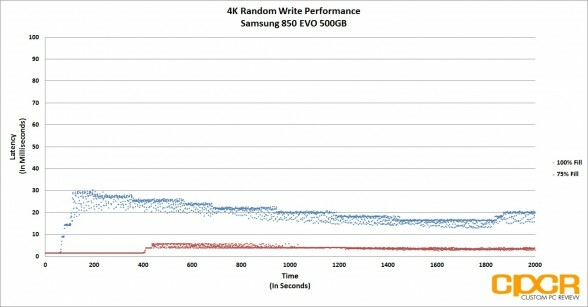 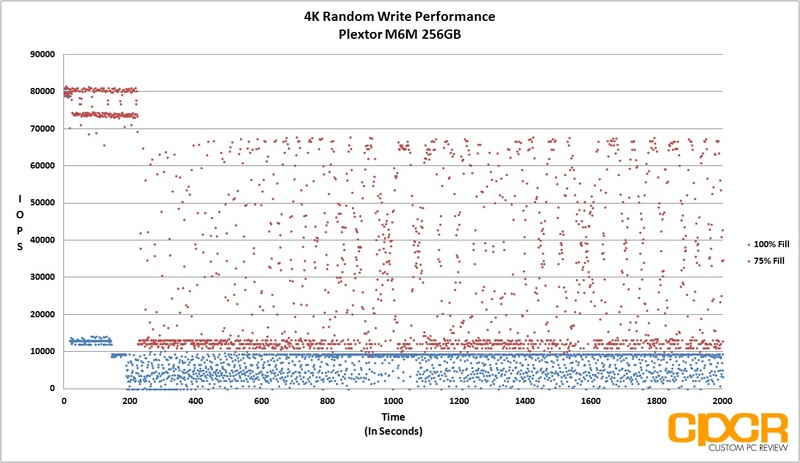 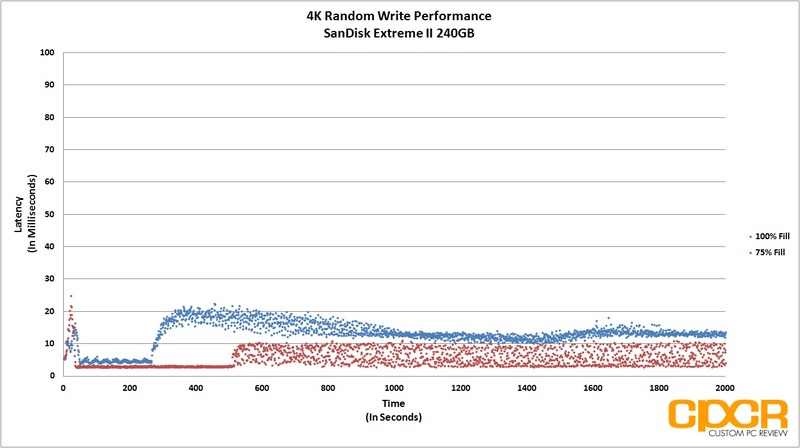 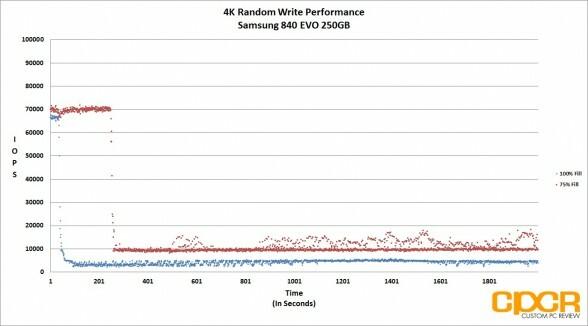 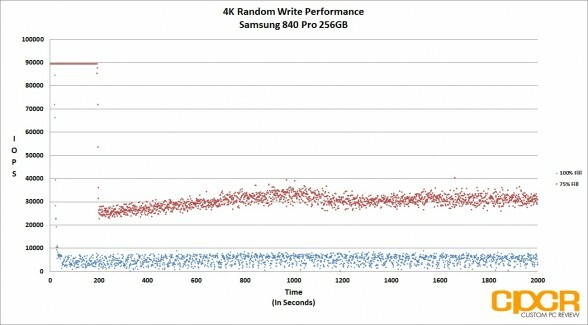 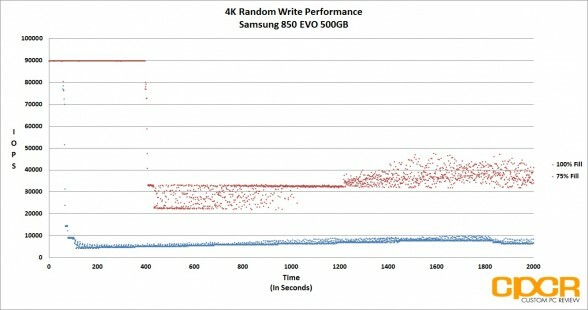 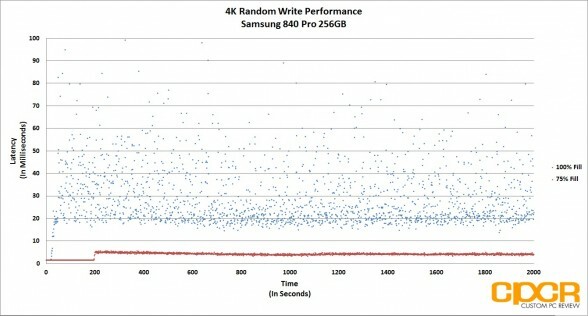 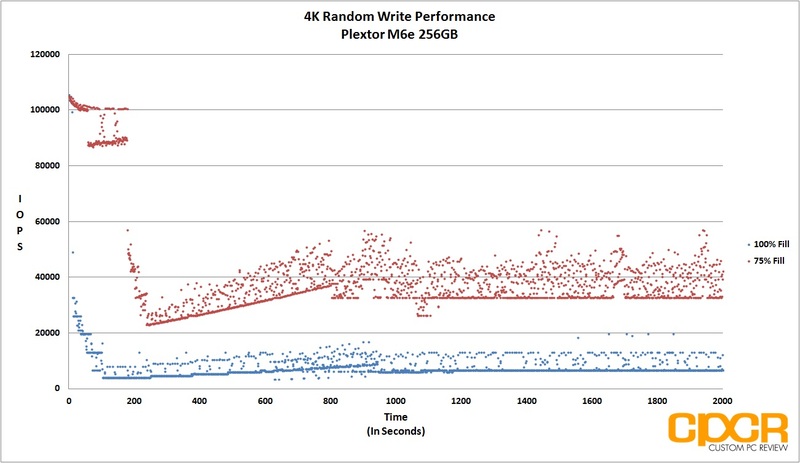 4K random read and write performance is decent as well with 4K random read performance up to 80,000 IOPS and 4K random write performance up to 75,000 IOPS. Internally, the Patriot Ignite will be using Phison’s latest S10 controller which debuted for the first time late last year. 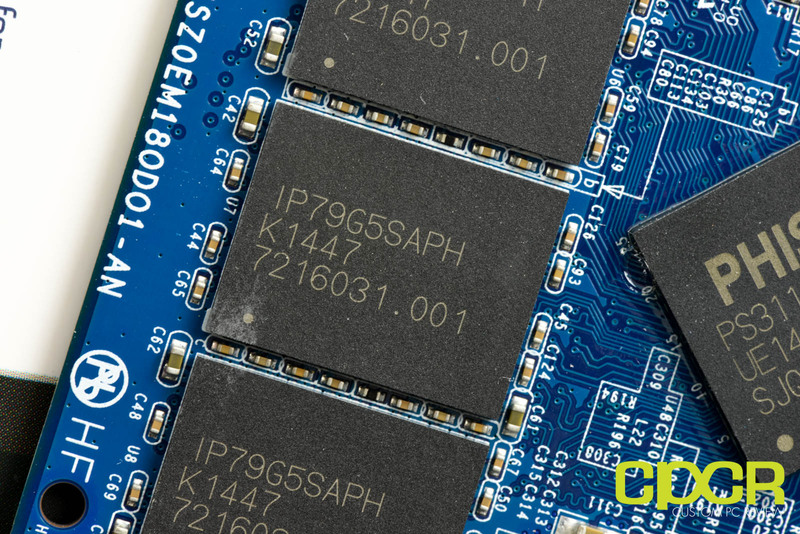 It’ll also be using IMFT’s new 16nm MLC, but rather than the higher performance synchronous MLC NAND we’re more familiar with, the Ignite packs slightly slower, but less expensive asynchronous MLC NAND. 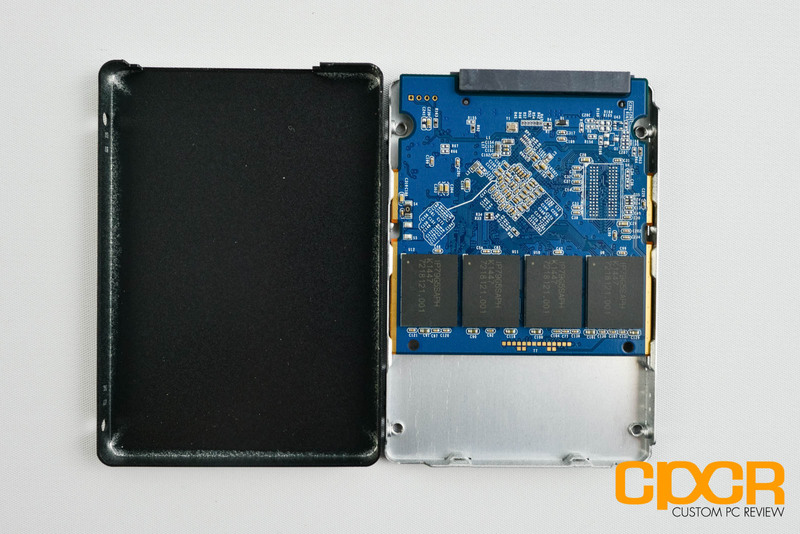 Since this is the first time we’ll be testing a SSD with both the Phison S10 and IMFT’s 16nm Asynchronous MLC, we’re quite excited to see what the Ignite can do. 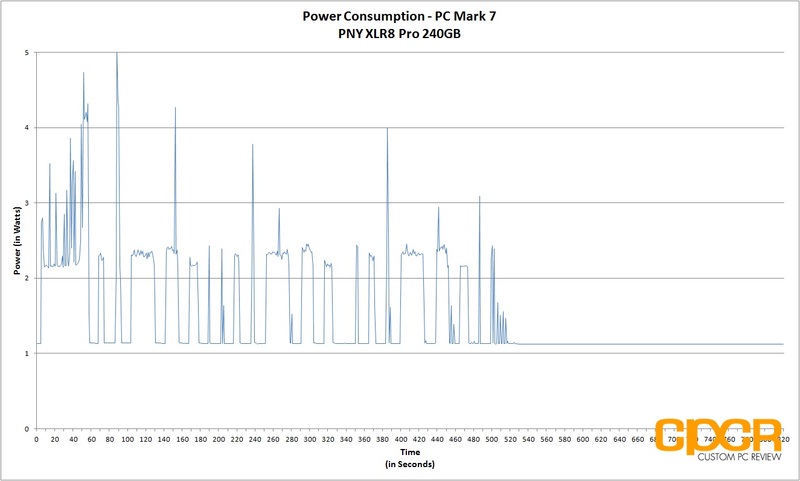 Without further ado, let’s go ahead and take a closer look! 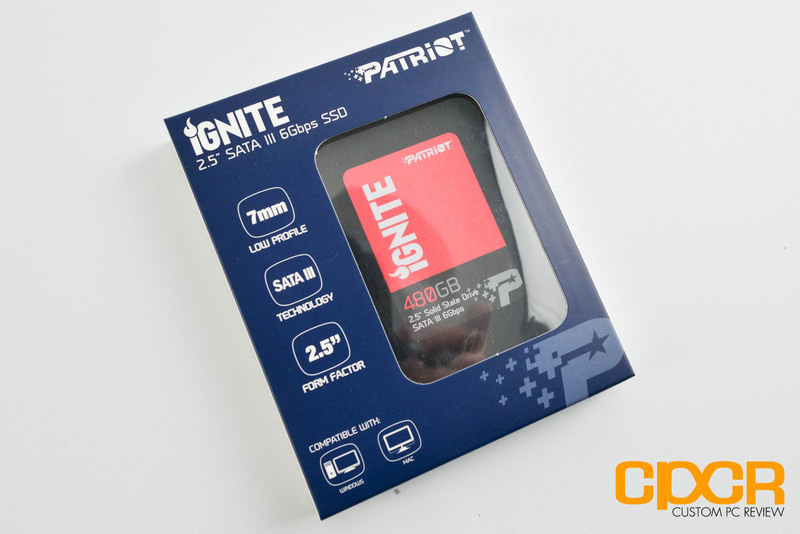 Here’s a look at the packaging for the Patriot Ignite 480GB. Included in the packaging we get some documentation and the Patriot Ignite SSD itself. 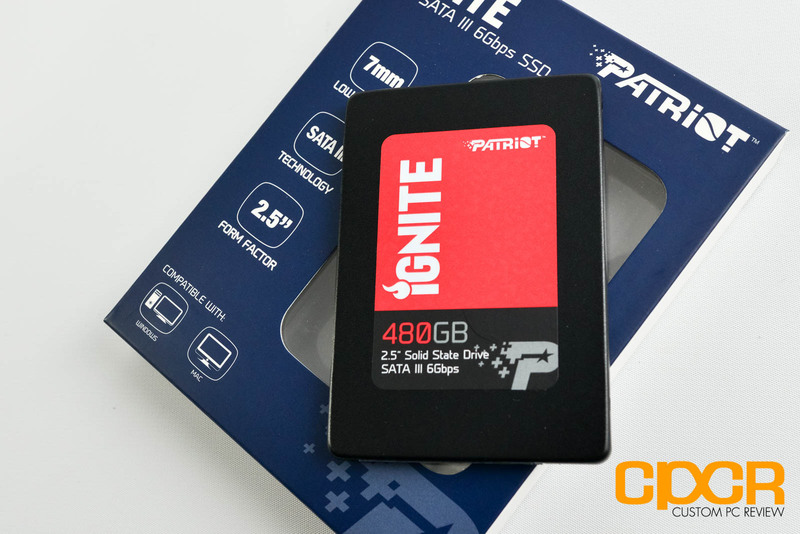 Here’s a closer look at the Patriot Ignite SSD. 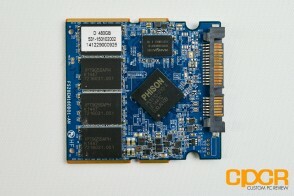 Cracking open the case, we can see that Patriot is using a 3/4 length PCB for the drive. This is pretty much the reference PCB design. 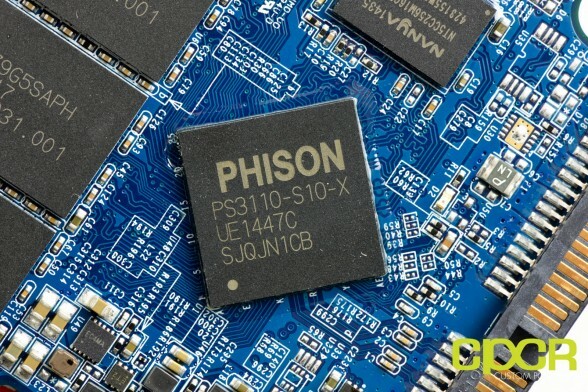 Here’s a look at the Phison S10, or PS3110-S10-X, controller. It’s an 8-channel, quad core controller with three cores dedicated to flash management and one dedicated to the host operations. 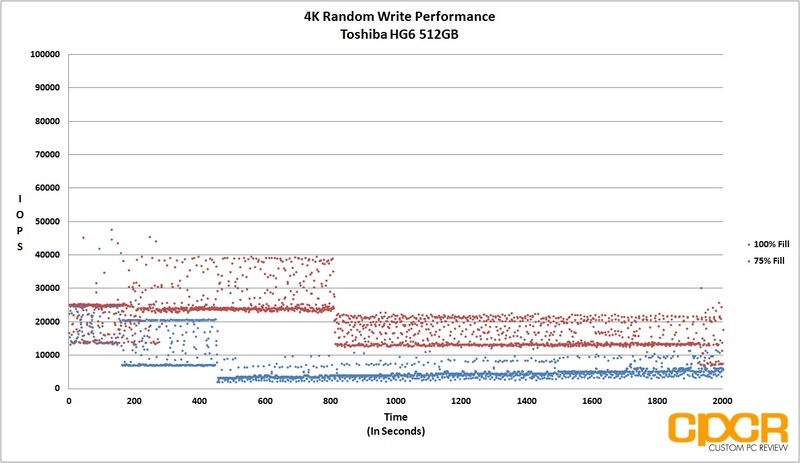 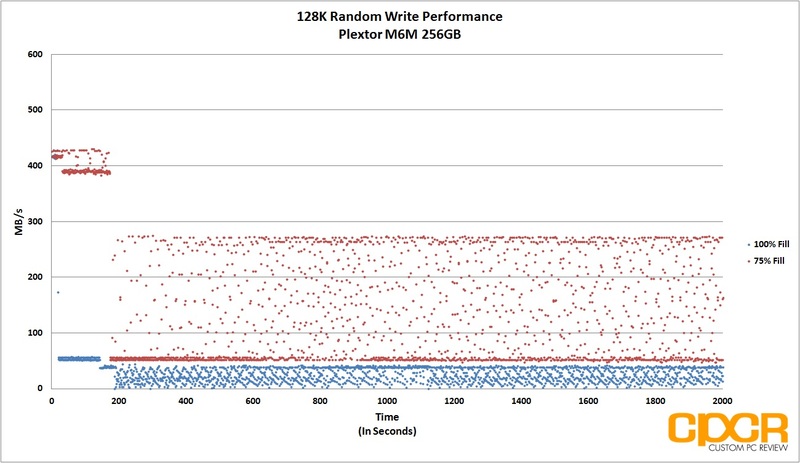 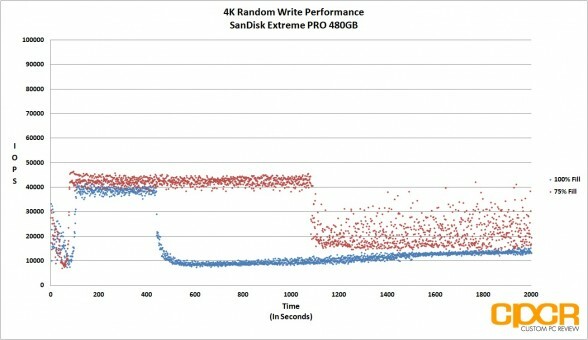 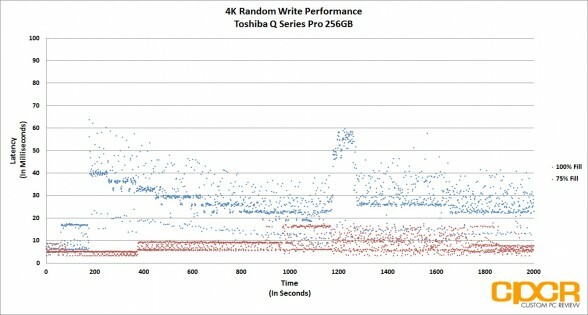 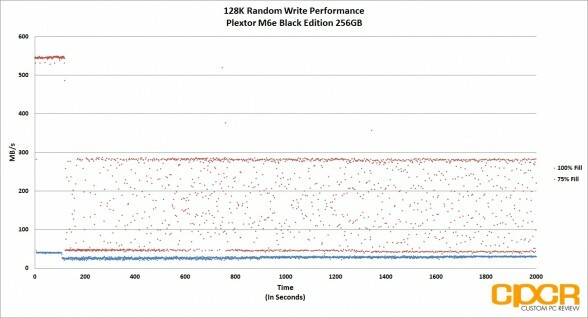 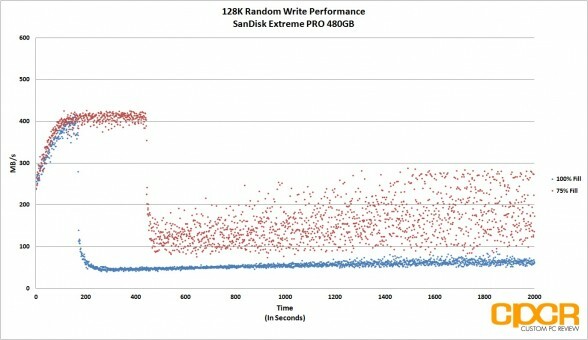 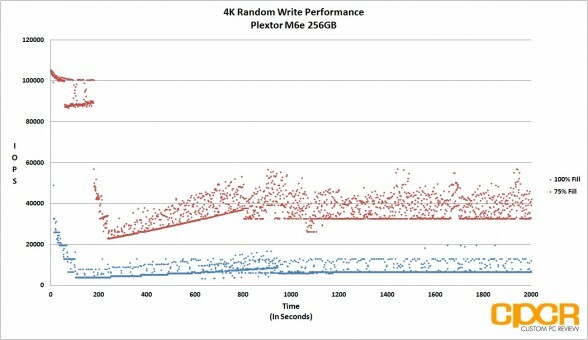 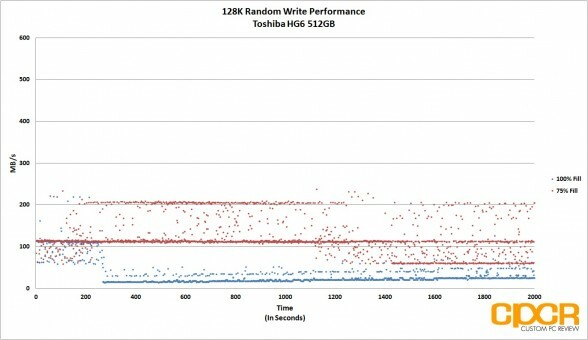 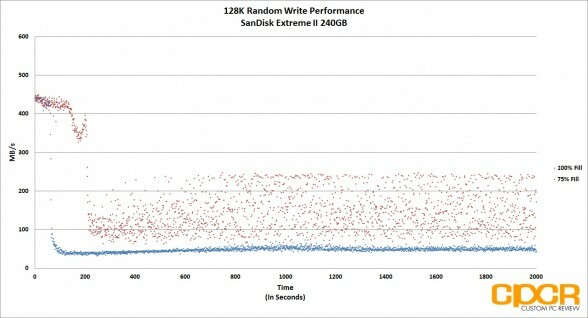 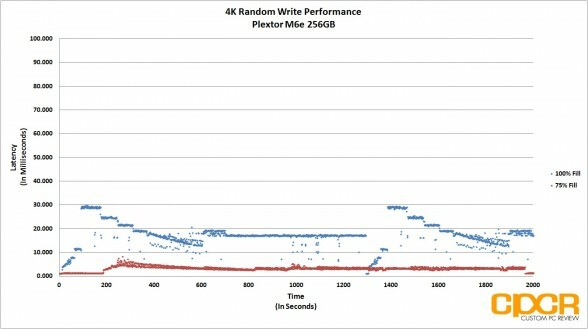 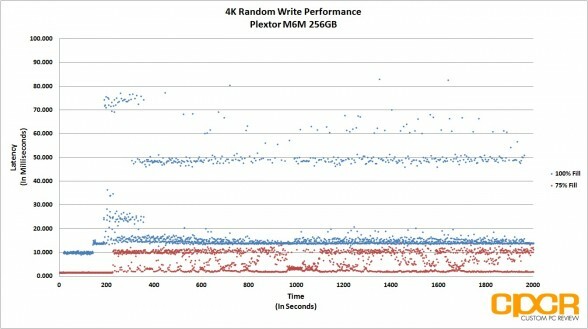 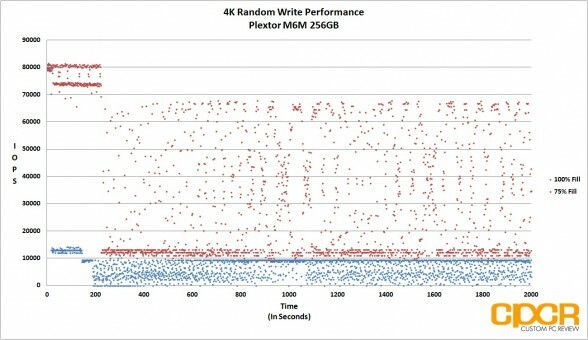 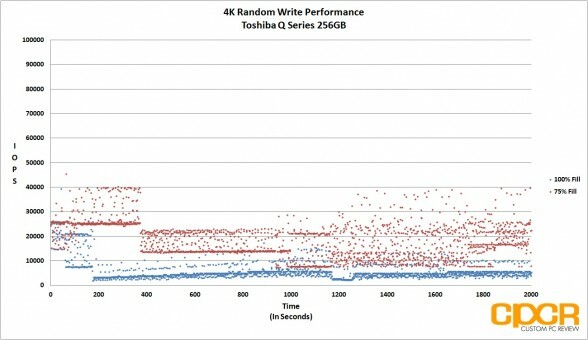 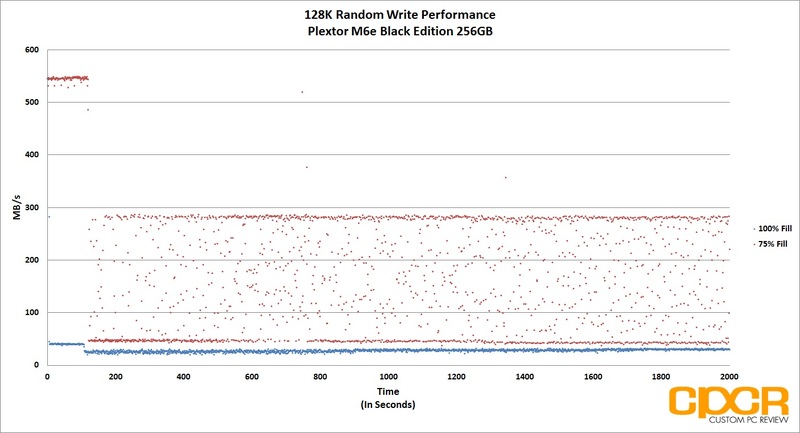 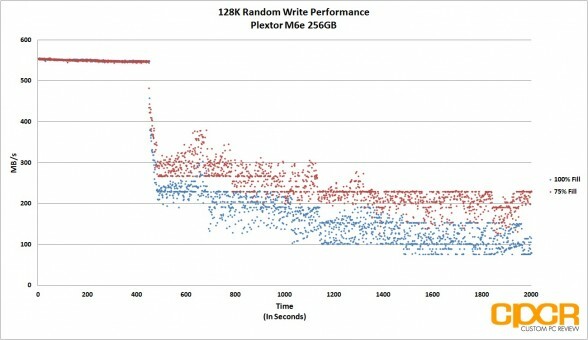 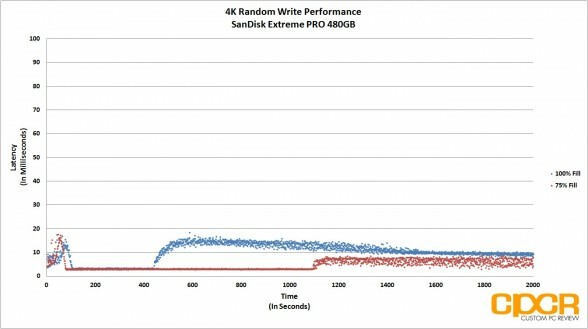 Phison claims that the extra cores dedicated to flash management is designed to significantly improve drive performance. 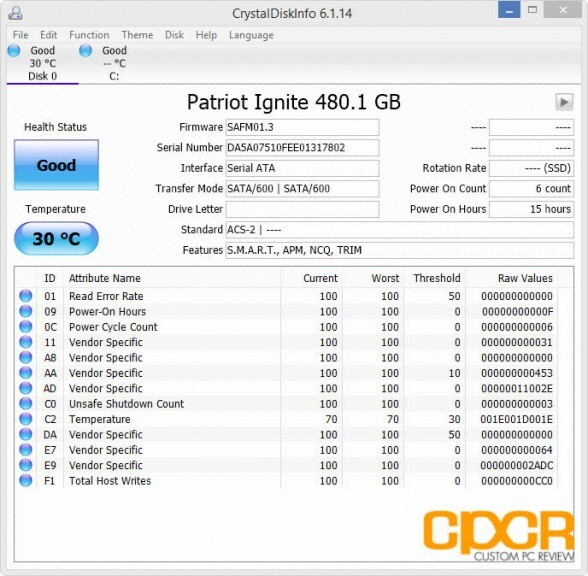 NAND onboard the Patriot Ignite 480GB is IMFT 16nm Asynchronous MLC (Model #IP79G5SAPH). 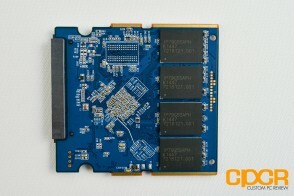 On the 480GB drive we get 8 NAND packages. We weren’t given any information on die capacities or package capacities, but we’re most likely looking at 128Gb dies and 64GB NAND packages making up a total of 512GiB NAND onboard with an additional 7% reserved for overprovisioning. 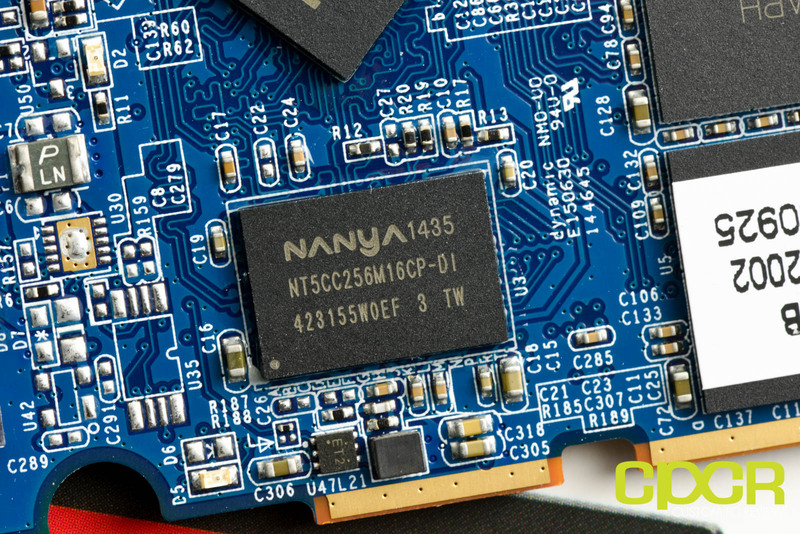 DRAM onboard the drive is a single 512MB Nanya DDR3L-1600 package (Model #NT5CC256M16CP-DI). 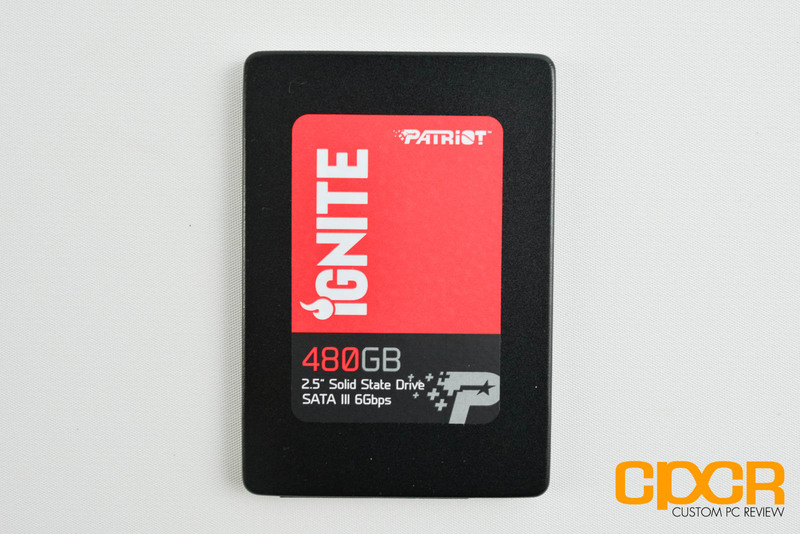 Today we’ll be reviewing the Patriot Ignite 480GB using firmware SAFM01.3. 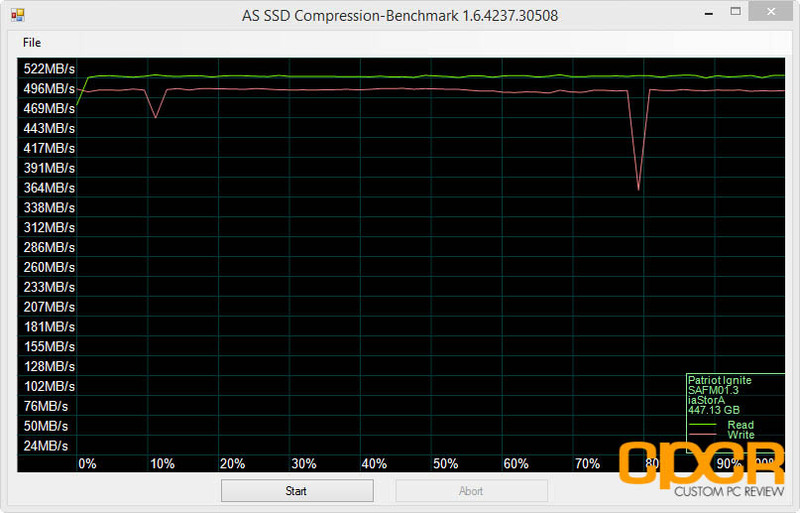 Although Patriot has equipped with the Ignite with slower asynchronous NAND, it still performs extremely well in the ATTO Disk Benchmark thanks to the Phison S10 controller. 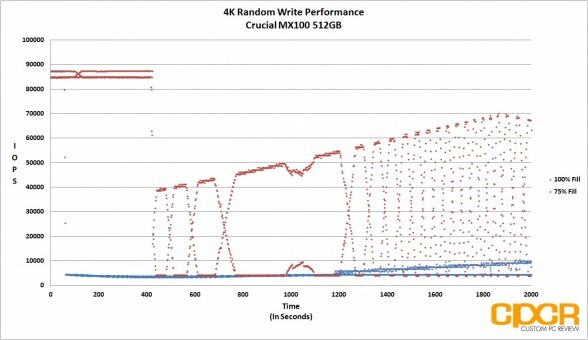 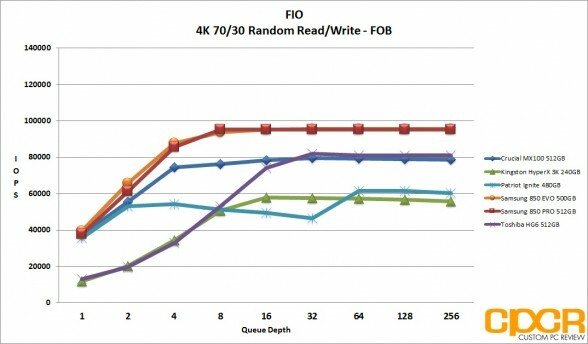 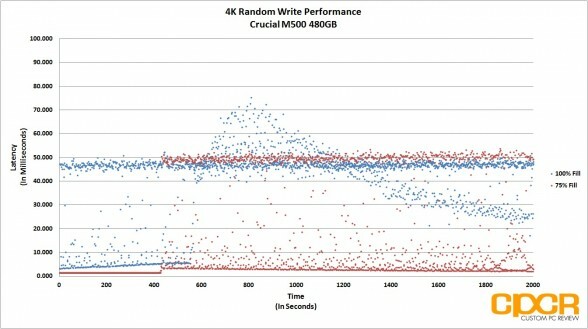 Sequential read performance maxed out at 560MB/s and sequential write performance maxed out at 540MB/s, which is the upward ceiling for the SATA 3Gb/s interface. Prior to this, the only other controller we’ve tested capable of reaching this level of performance with asynchronous NAND is the SandForce SF-2281 thanks to its on the fly compression algorithms. 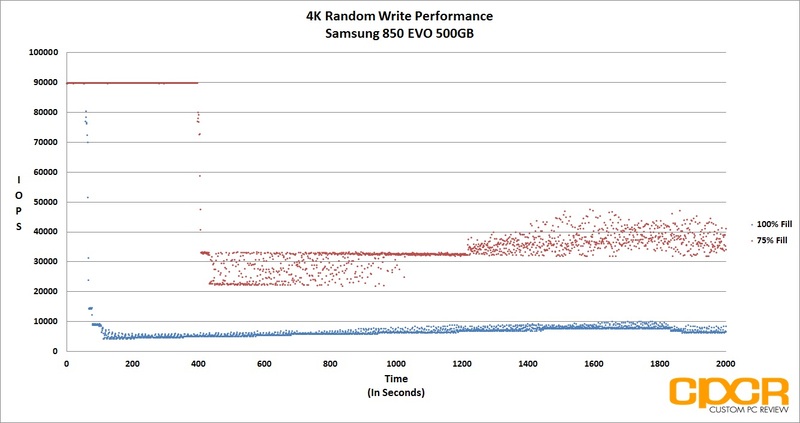 AS SSD performance was equally impressive, which again is something we typically don’t find in drives equipped with asynchronous NAND. Sequential read/write performance was able to reach 522MB/s and 487MB/s respectively which is very good for an entry level drive. 4K performance is acceptable as well with 4K random read/write performance maxing out at 38MB/s and 110MB/s respectively. 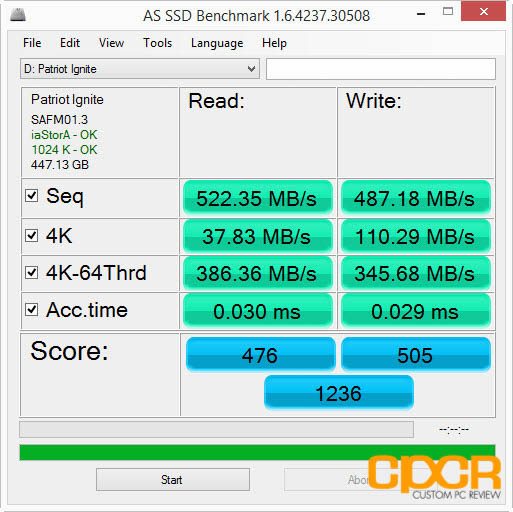 Looking at Crystal Disk Benchmark, drive performance reached a SATA saturating 540MB/s sequential reads and 519MB/s sequential writes. What’s interesting about this benchmark is that it clearly shows the Phison S10 being able to perform better with compressible data. 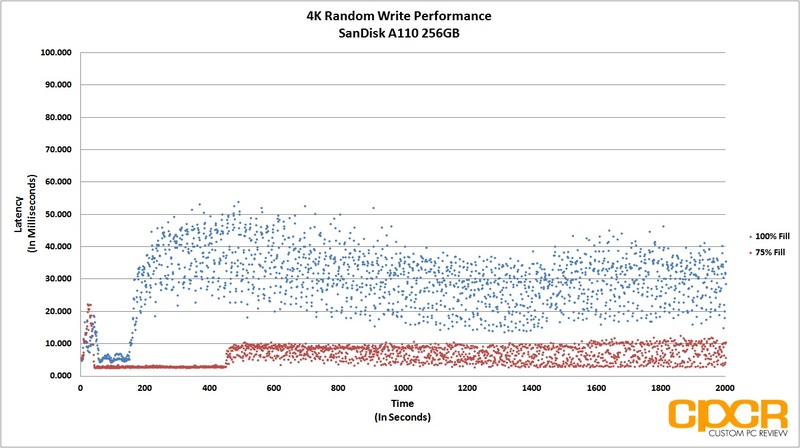 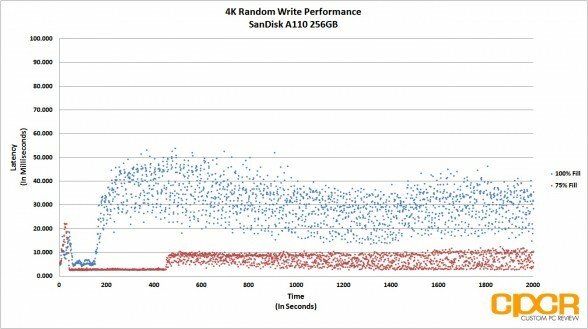 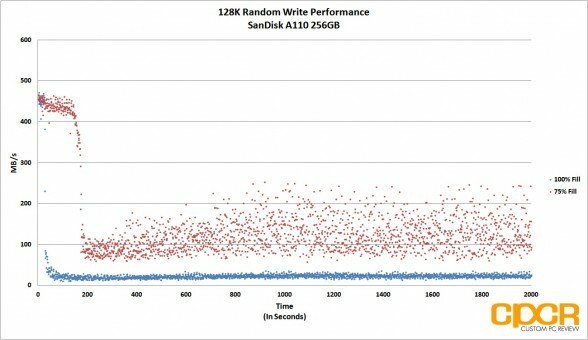 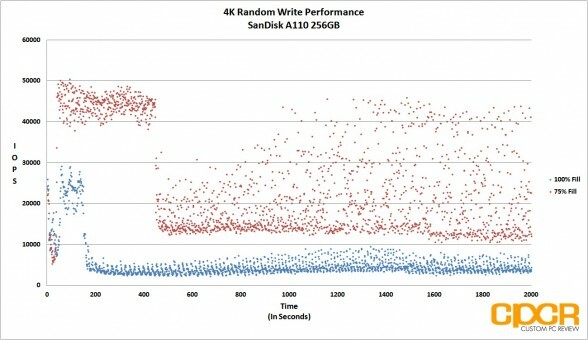 However, rather than accelerating writes like SandFoce does, the Phison S10 accelerates compressible reads. 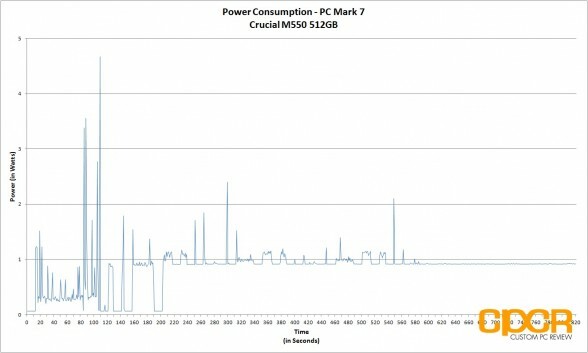 In PC Mark 7, the Patriot Ignite’s asynchronous NAND falters quite a bit compared to its synchronous MLC and toggle NAND counterparts, coming in at the bottom of our charts. 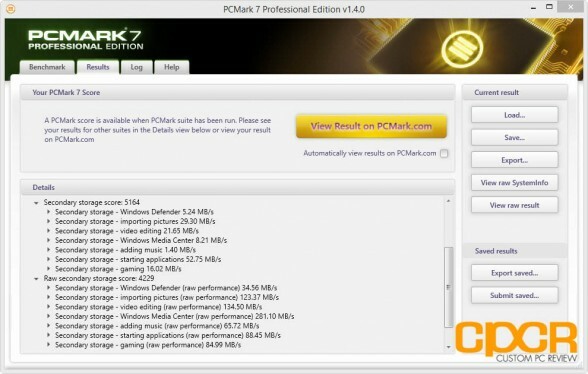 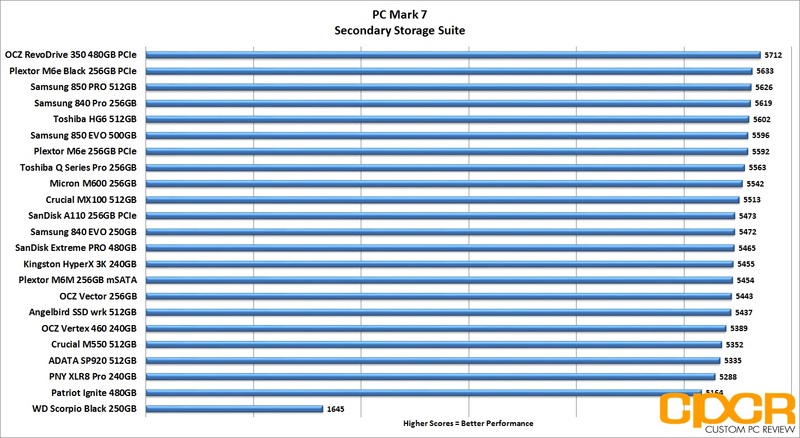 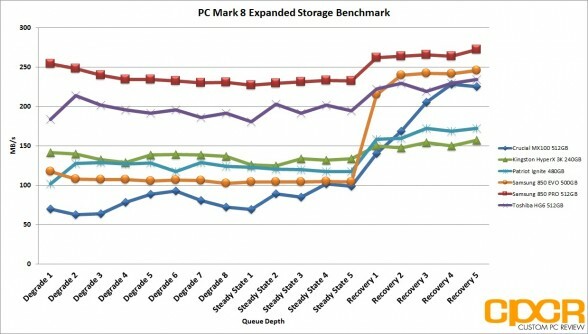 PC Mark 8’s expanded storage benchmark shows a side of the Patriot Ignite which is a bit interesting. 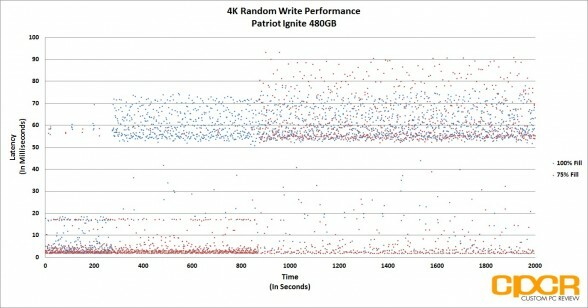 Unlike competing low cost drives such as the Crucial MX100 and the Samsung 850 EVO which tend to slow down during heavier workloads and speed up at lighter workloads where there’s ample time between operations to run internal flash maintenance operations, the Patriot Ignite’s performance stays relatively steady in both heavier and lighter workloads. Fresh out of the box, the Patriot Ignite was able to pull off some extremely good 4K random read performance. 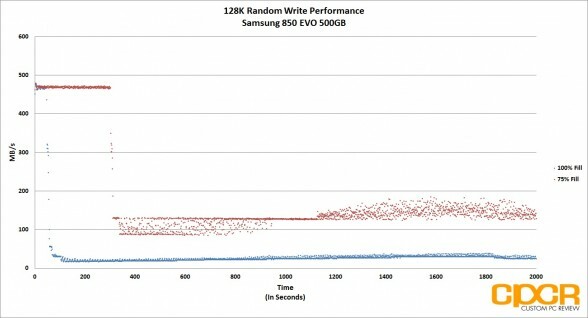 Although rated at a very conservative 80,000 IOPS, random read performance reached ~101,000 IOPS which is the fastest we’ve seen from any SATA drive we’ve tested to date! 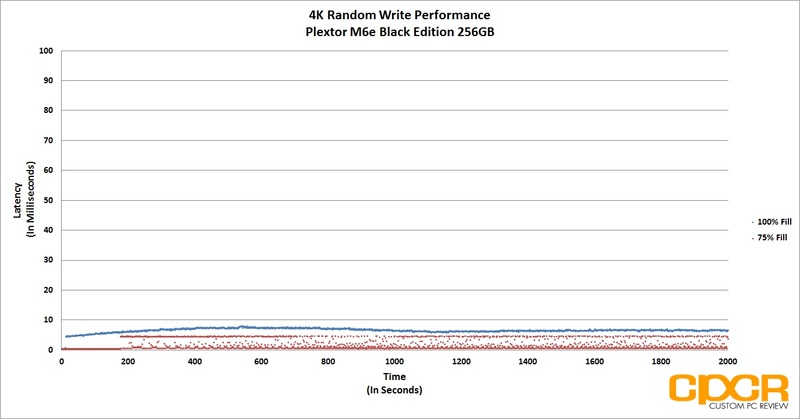 Random write performance on the other than didn’t fare too well. 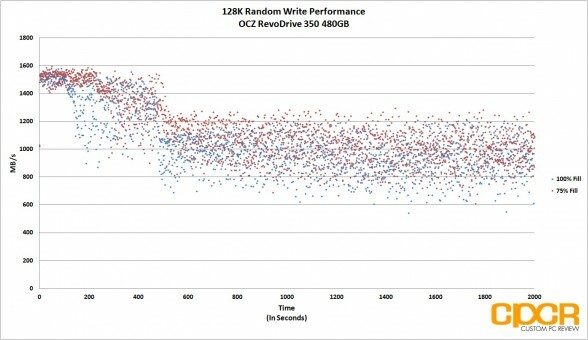 Random write performance capped out at just ~37,000 IOPS, the lowest of any drive tested today. 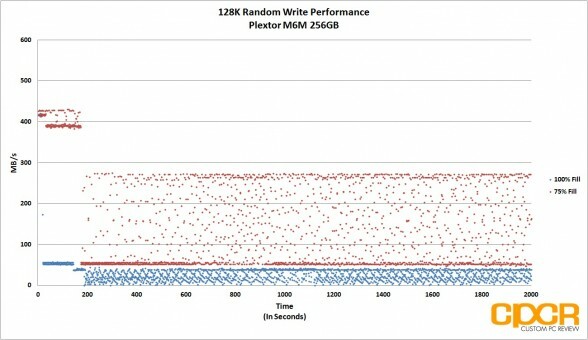 Mixed workload performance however was competitive at the lower queue depths. Moving into steady state, the Patriot Ignite doesn’t perform nearly as well. 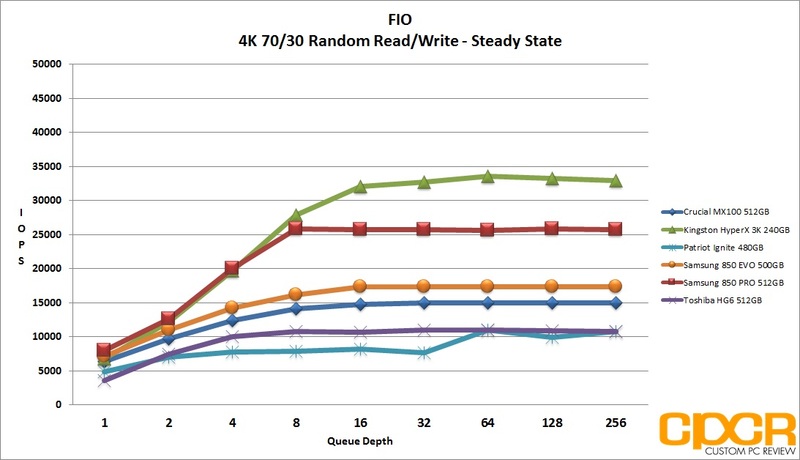 In 4K random reads, performance is nearly halved with the drive topping out at just ~54,000 IOPS at QD32. 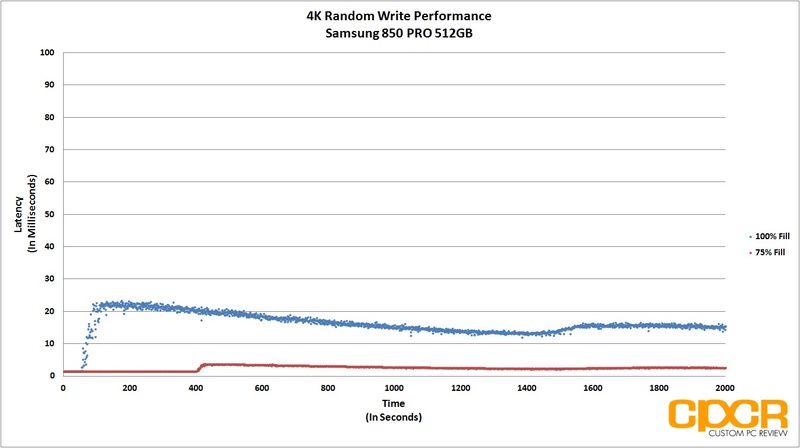 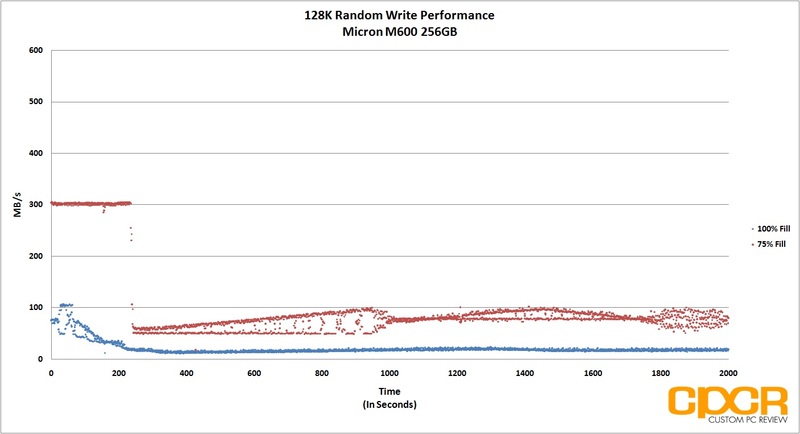 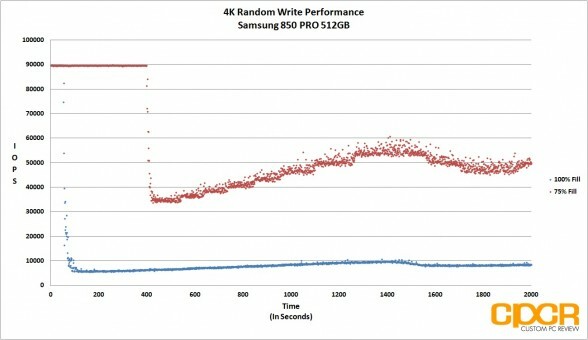 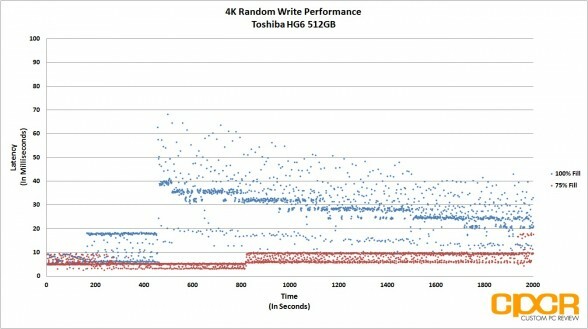 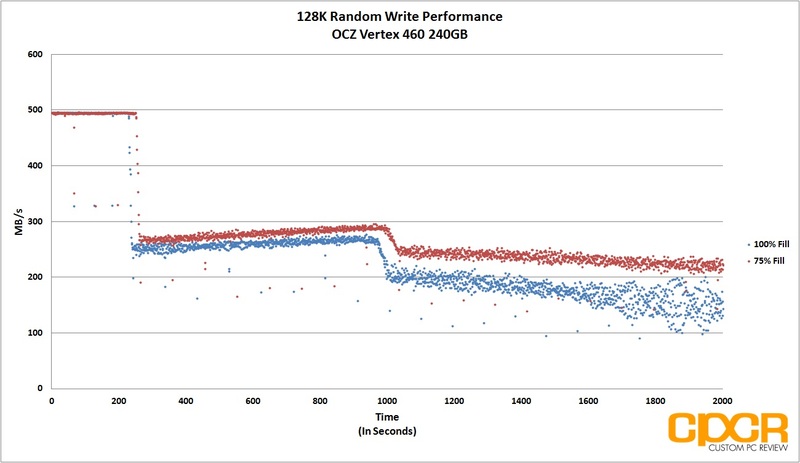 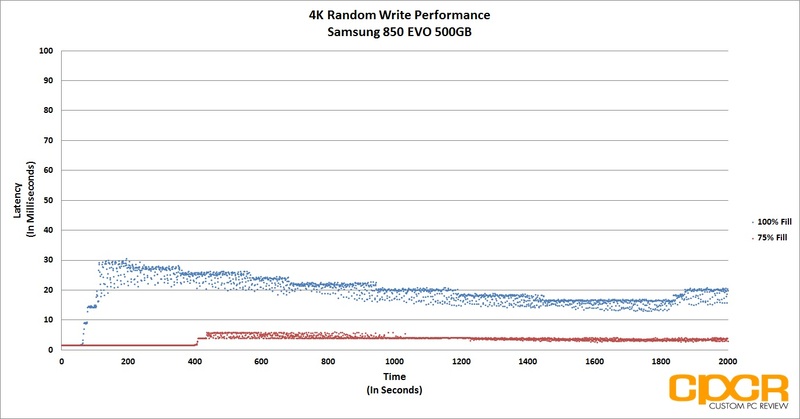 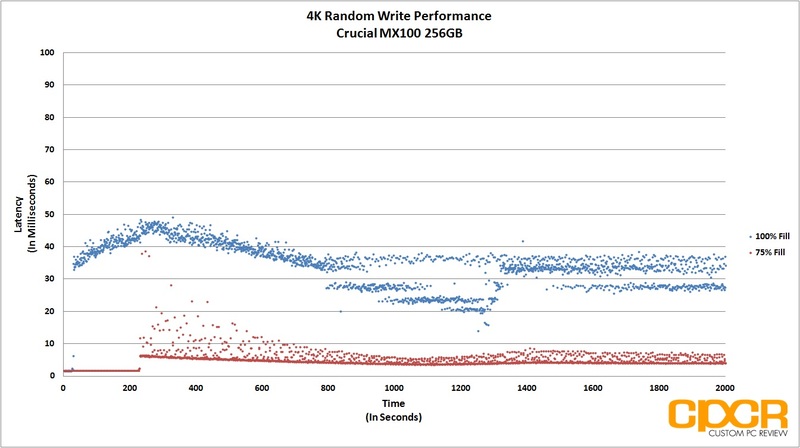 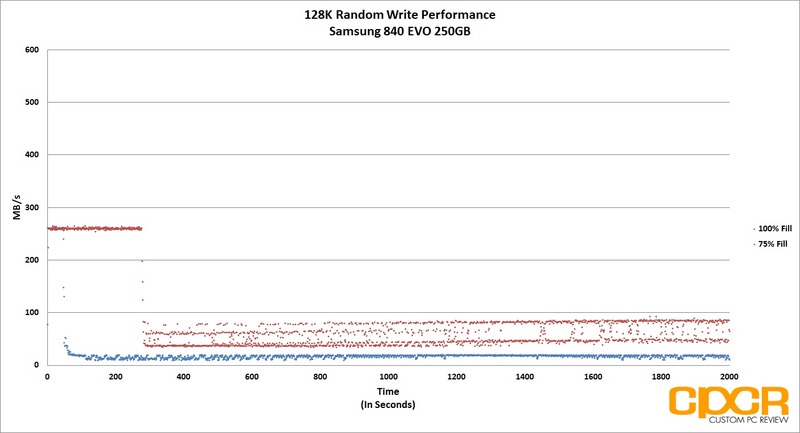 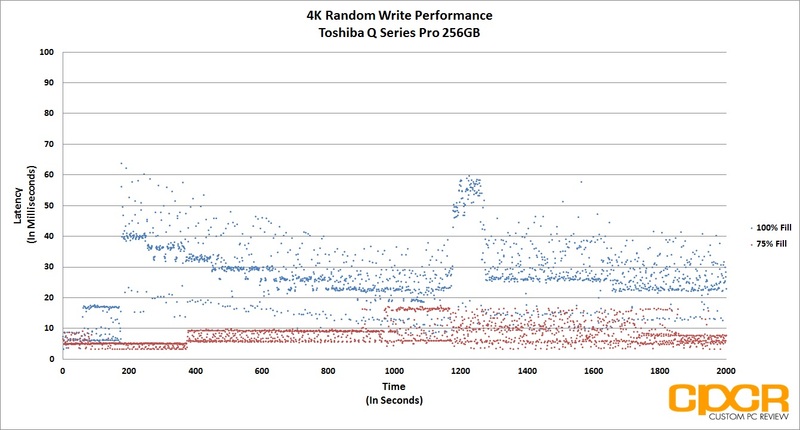 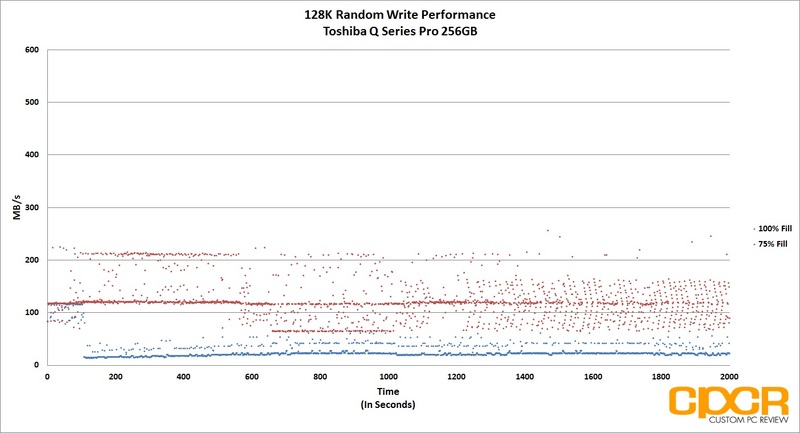 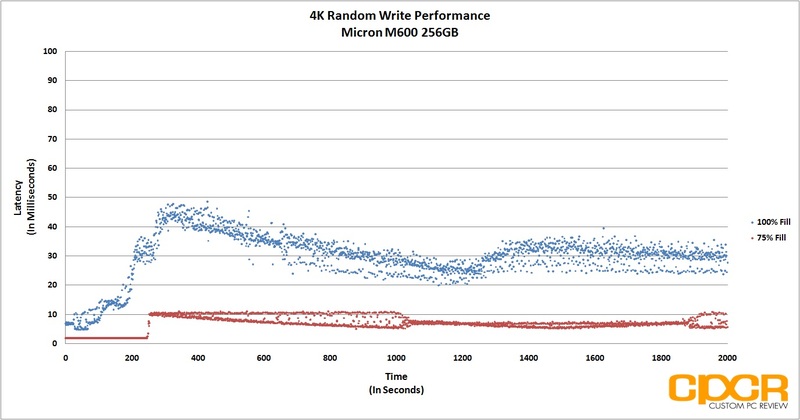 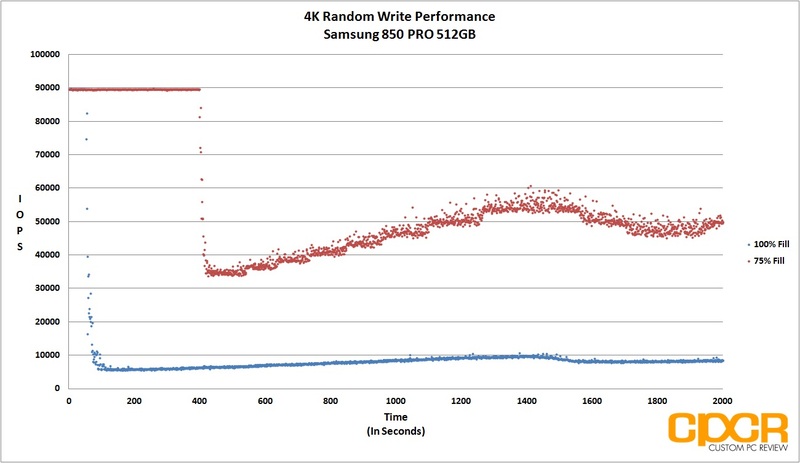 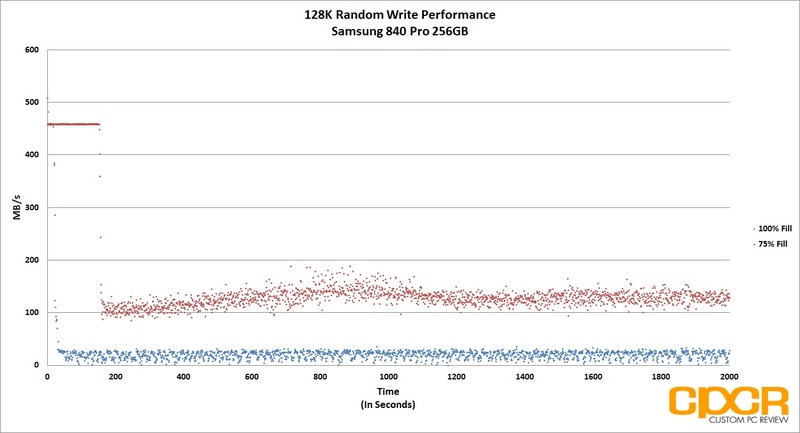 4K random write performance didn’t fare too well either with drive performance coming in at just under ~4,000 IOPS. 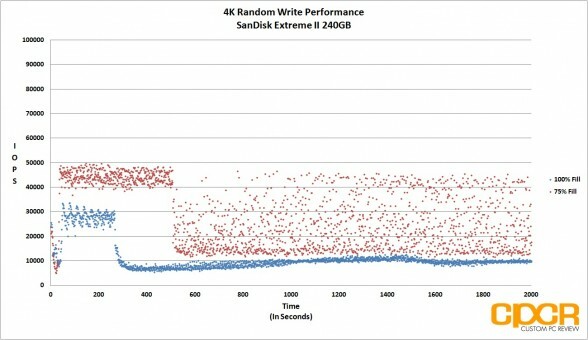 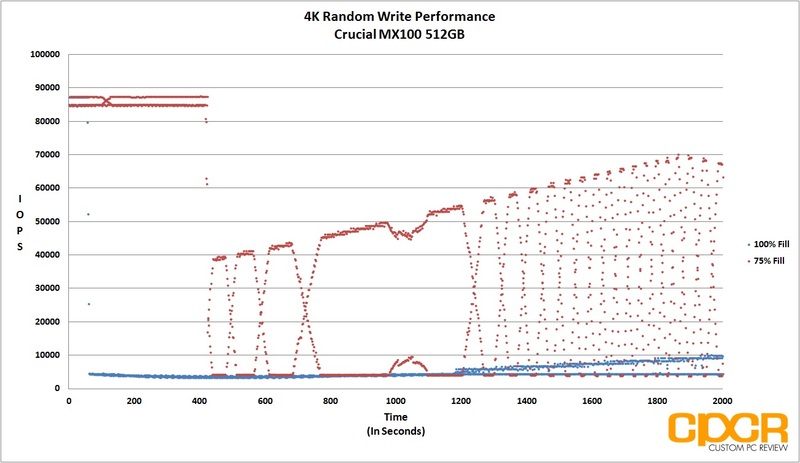 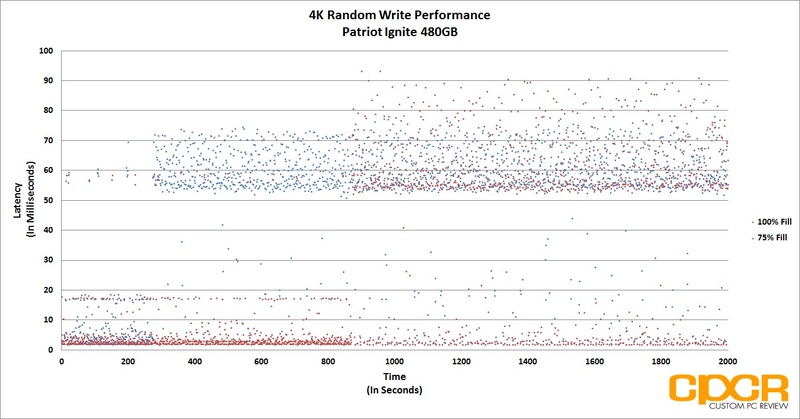 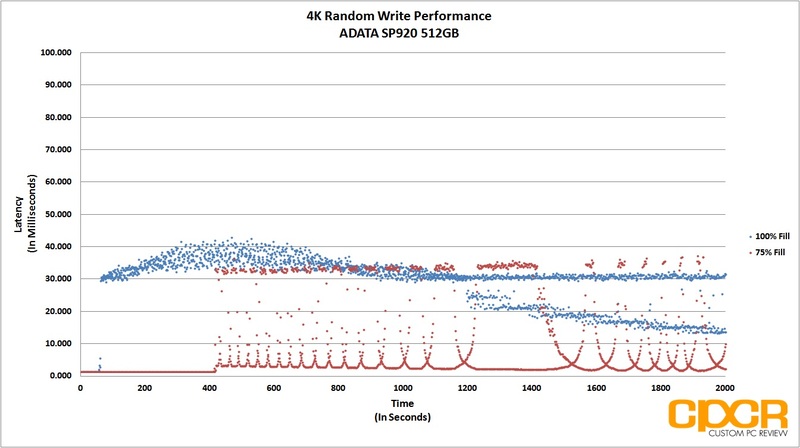 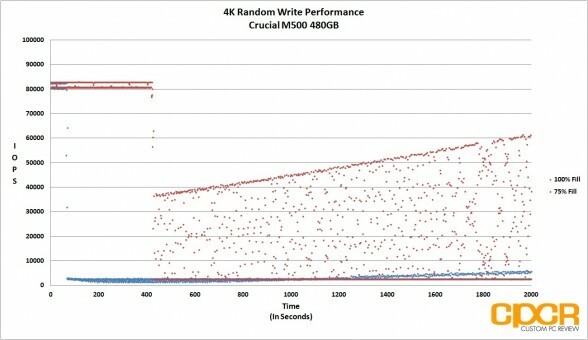 With its asyncrhonous NAND, the Patriot Ignite 480GB’s 4K random write performance is both slow and inconsistent. 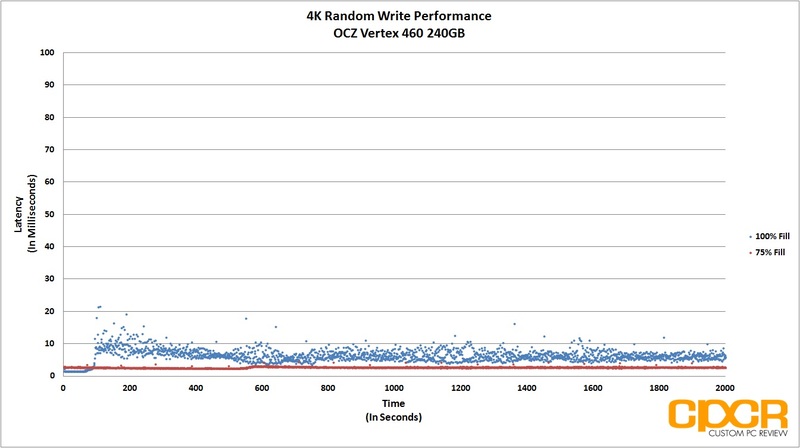 Performance varied from just under ~2,000 IOPS to just over 71,000 IOPS both when testing the drive at 75% fill and 100% fill. 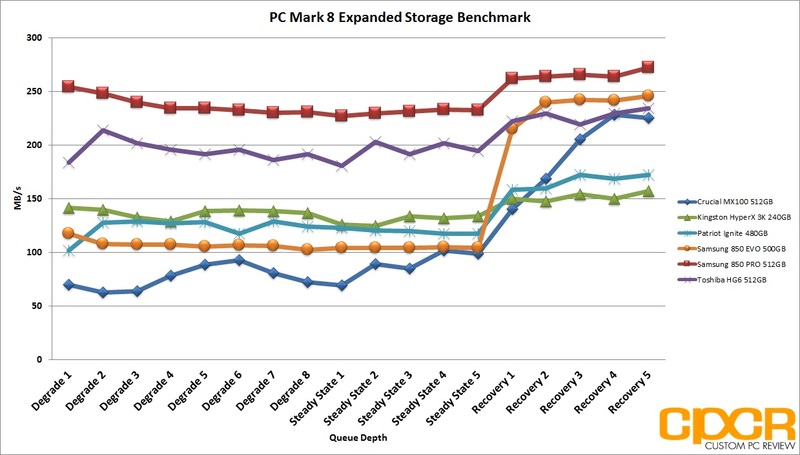 Extra spare area appears to make very little difference at steady state. Latency for the Patriot Ignite doesn’t paint a pretty picture as well. 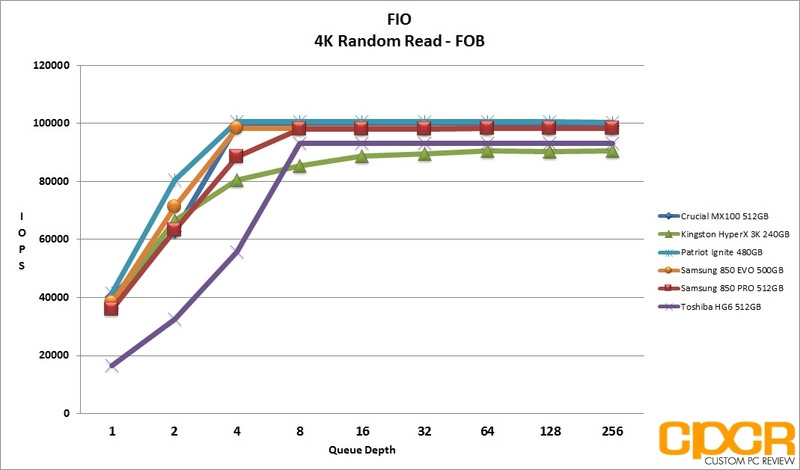 Latencies were consistently higher than our preferred 50ms threshold, reaching as high as 90ms after extended workloads. 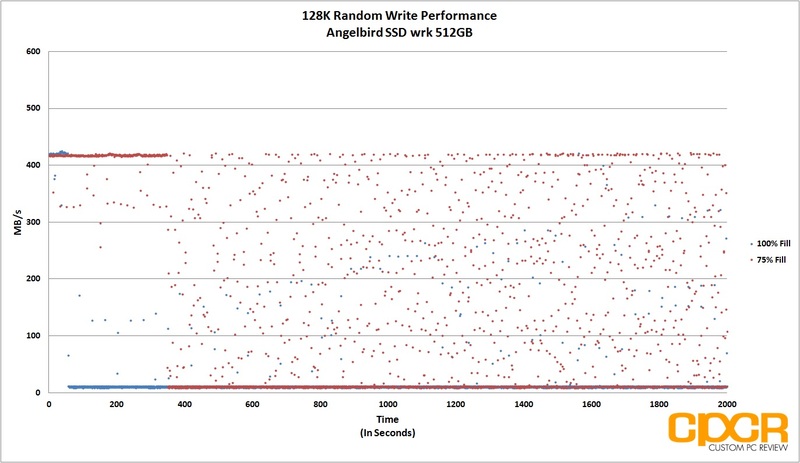 Like 4K random writes, 128K random write consistency isn’t very good either. 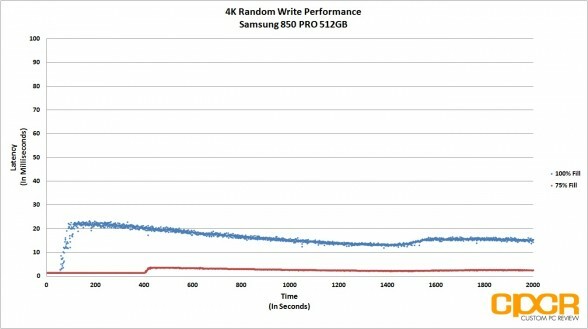 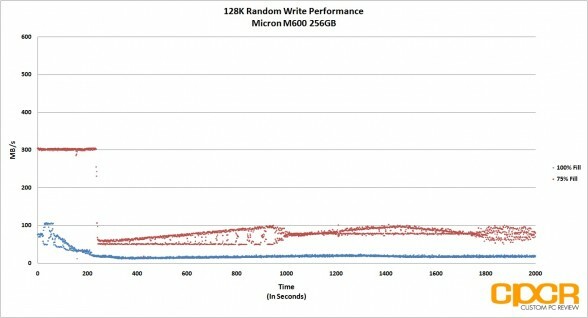 Write performance varied from as low as 7MB/s to as much as 520MB/s. 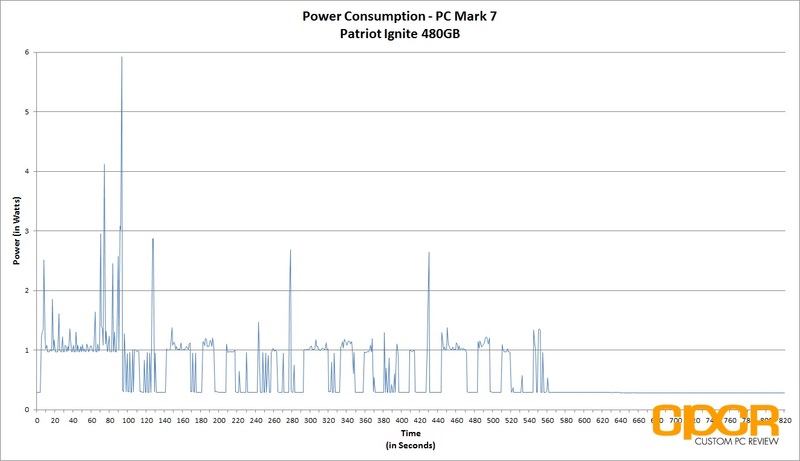 Power consumption on the Patriot Ignite is very much middle of the road. 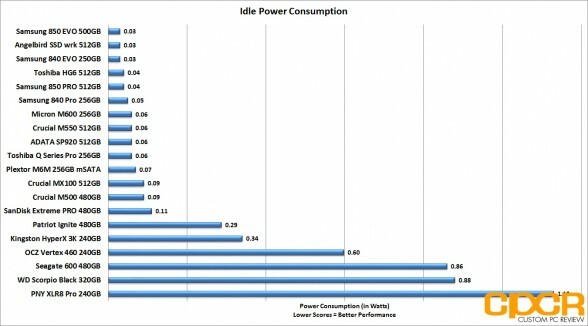 Idle power consumption was measured at ~0.29w which is higher than most modern SSDs which typically draw ~0.11w or less. 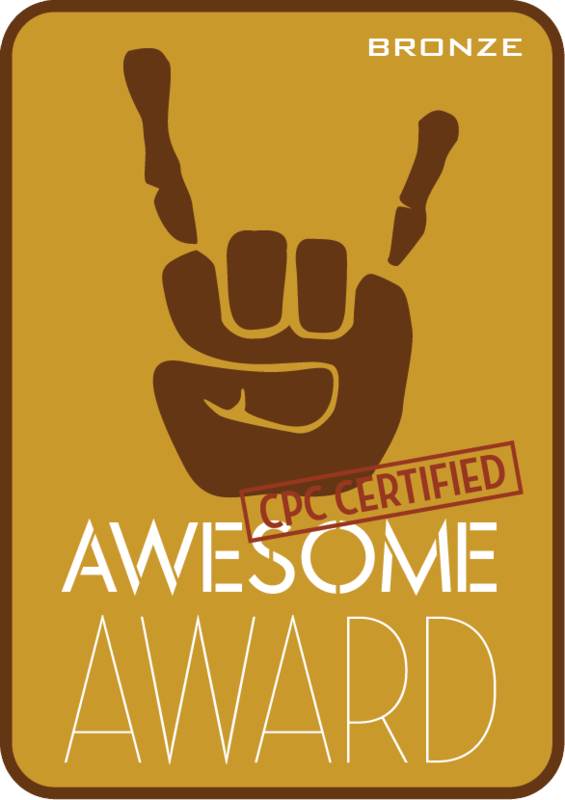 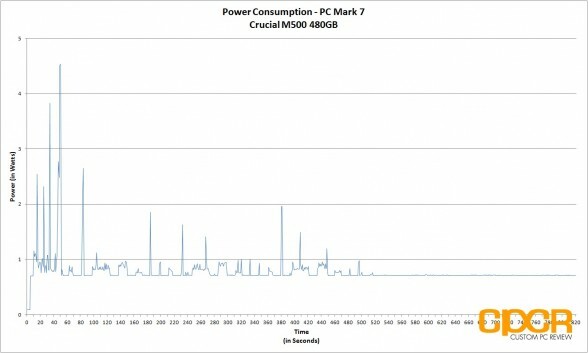 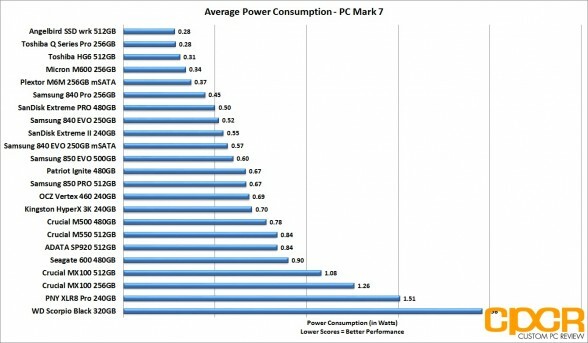 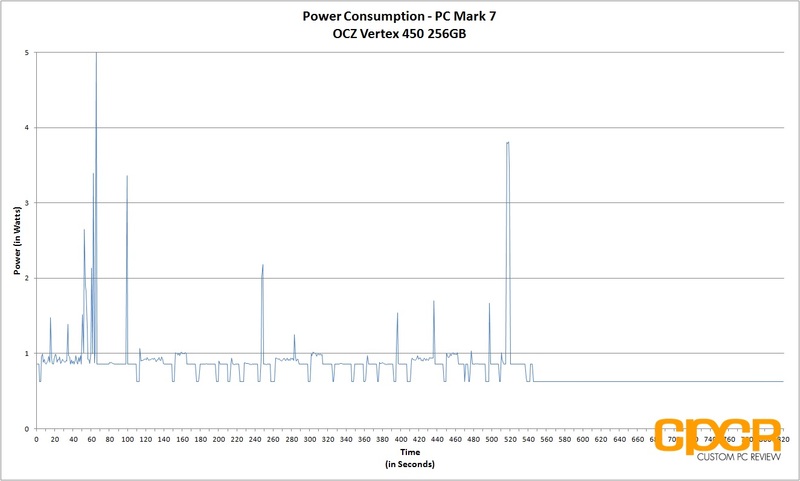 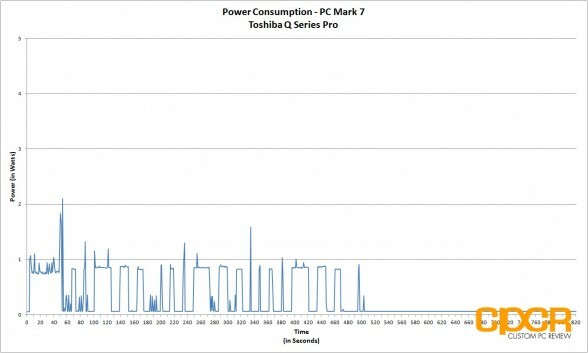 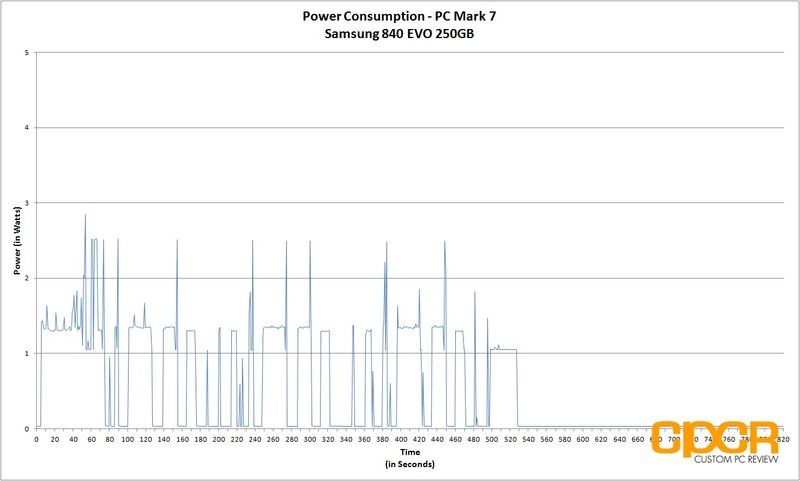 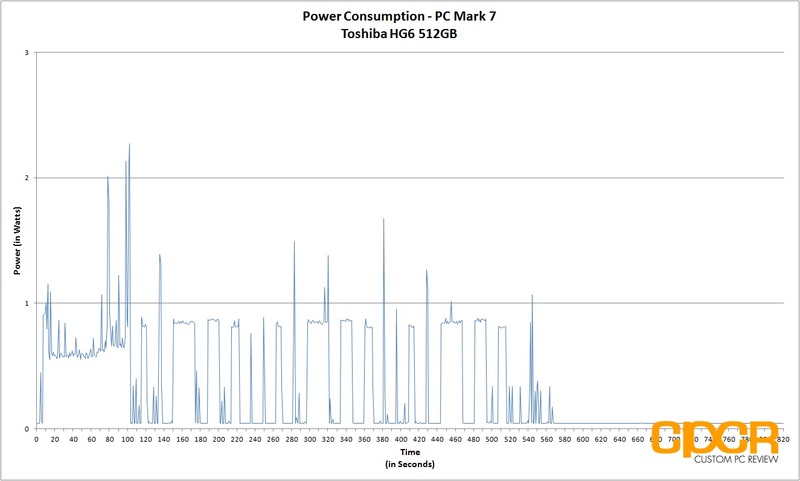 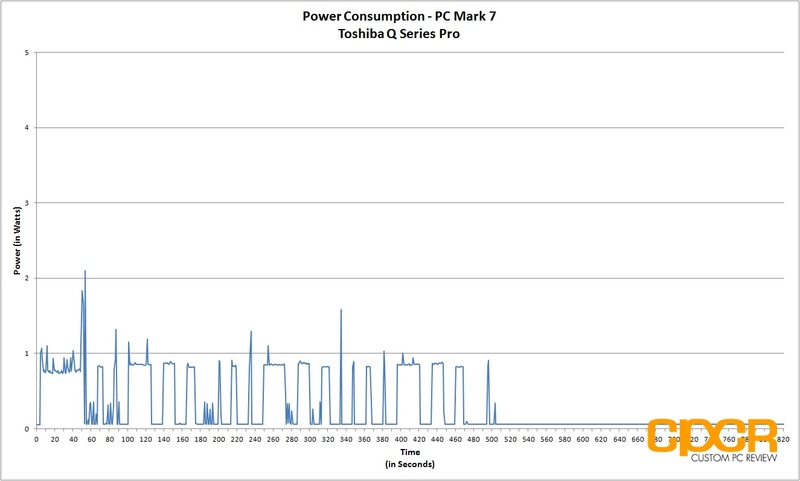 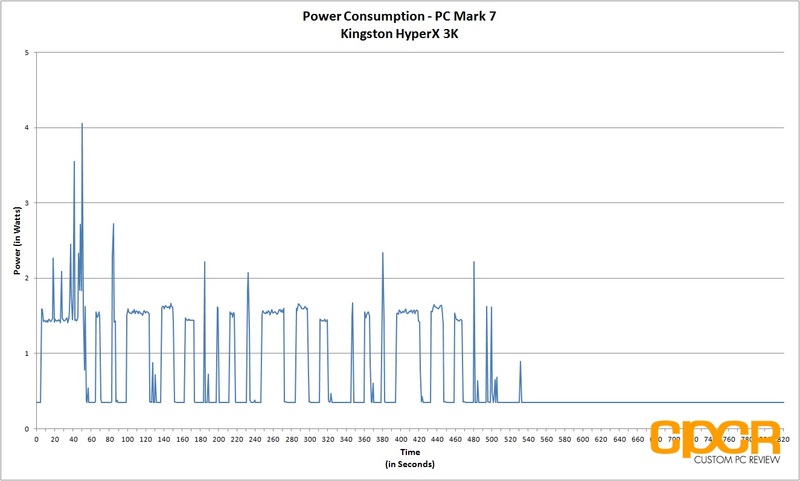 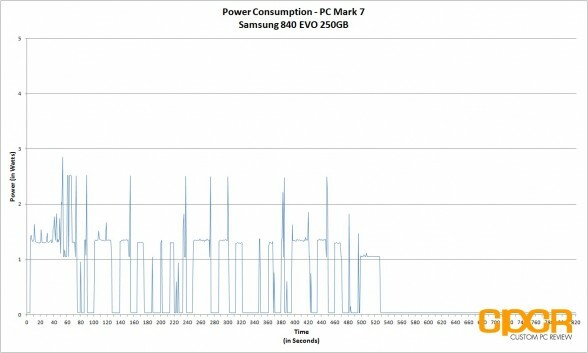 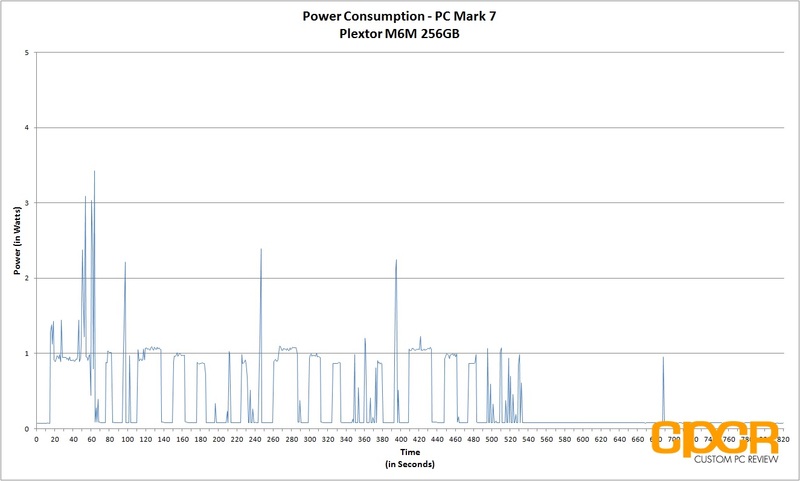 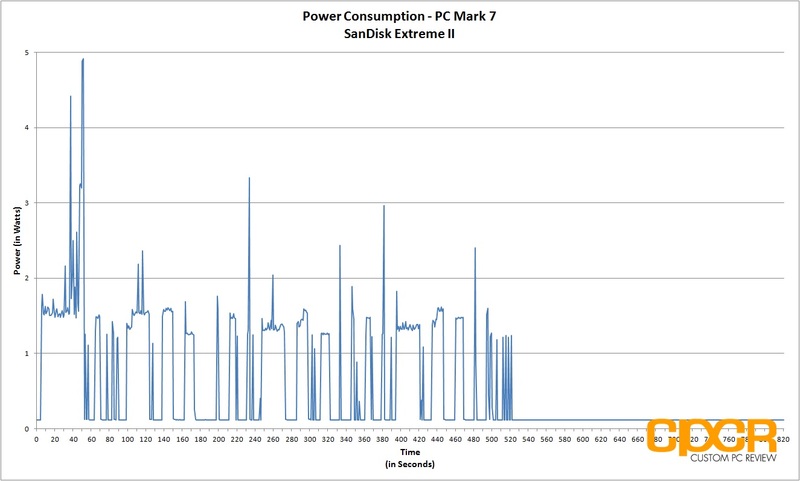 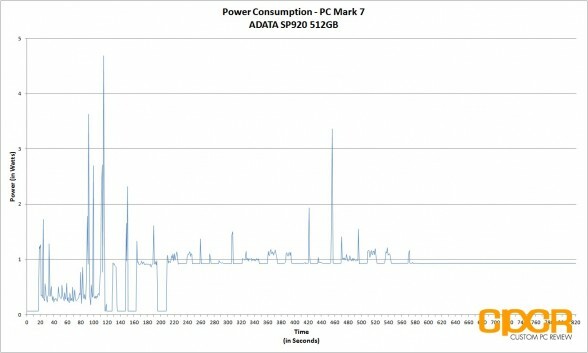 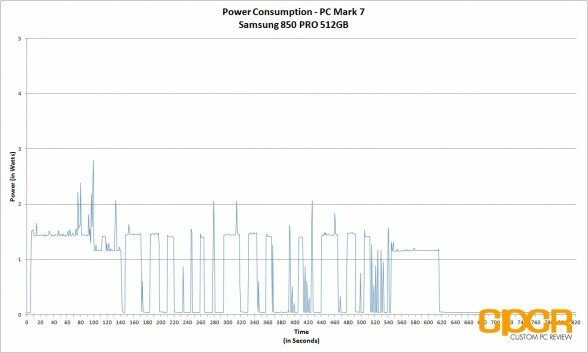 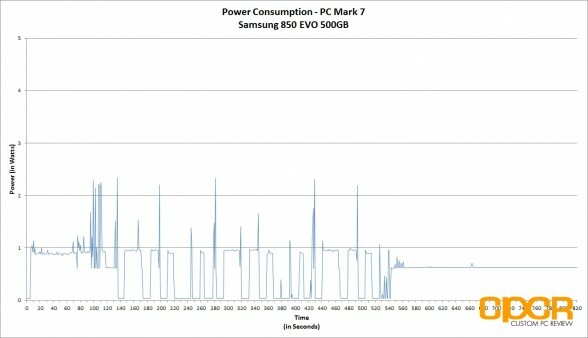 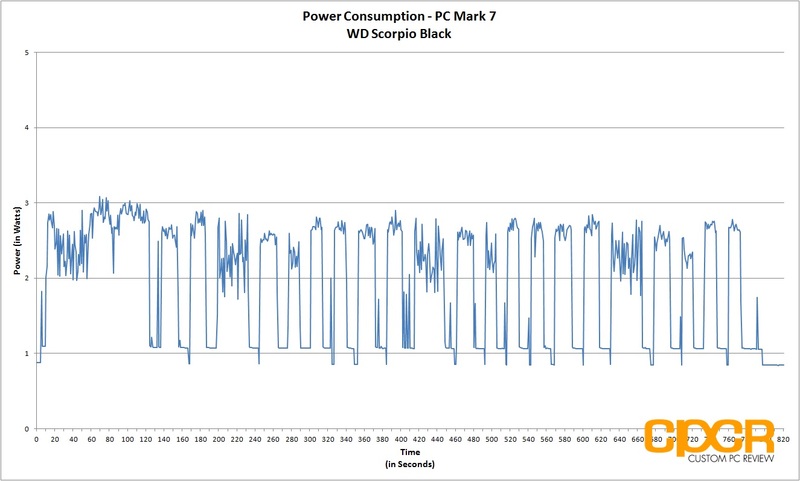 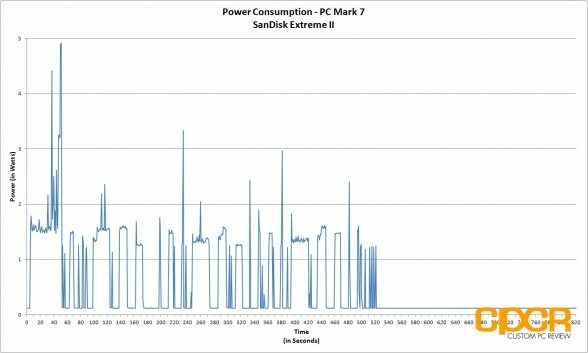 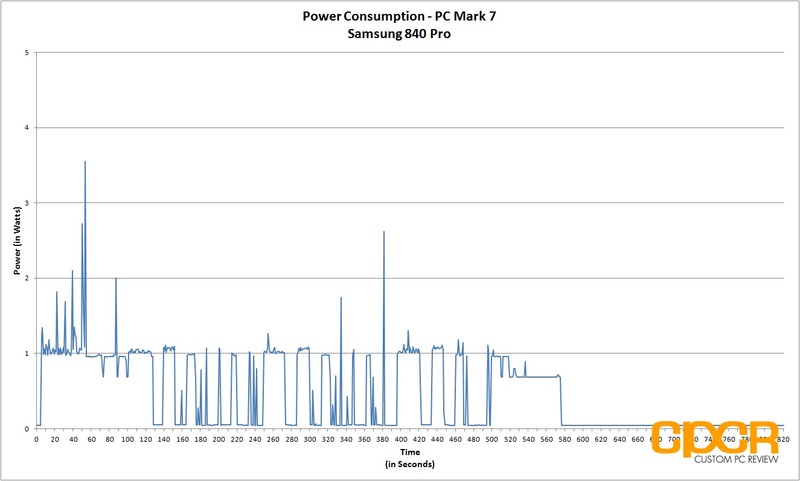 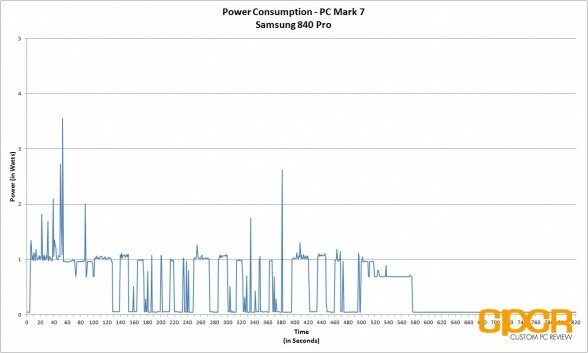 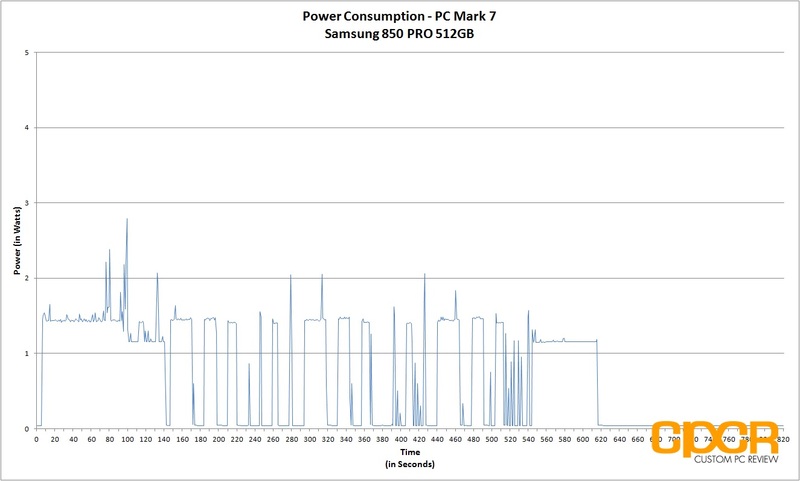 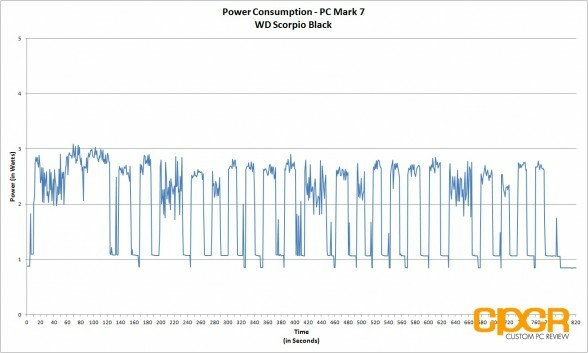 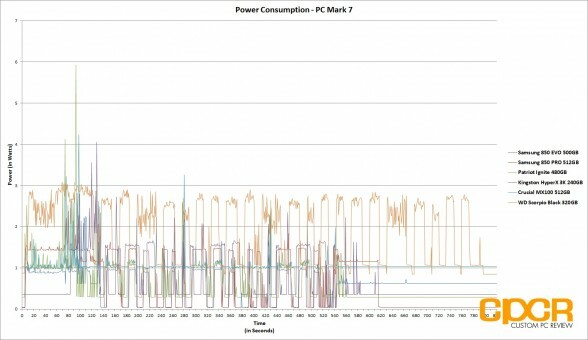 Average power consumption in our PC Mark 7 run was fairly good with the Patriot Ignite drawing an average of 0.67w. 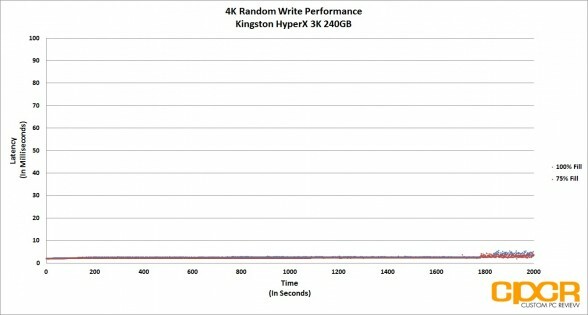 With testing out of the way, let’s talk a little bit more about our results. 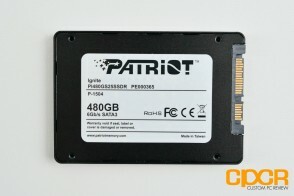 The Patriot Ignite is a unique SSD with an interesting mix of a high performance controller and relatively slow NAND. 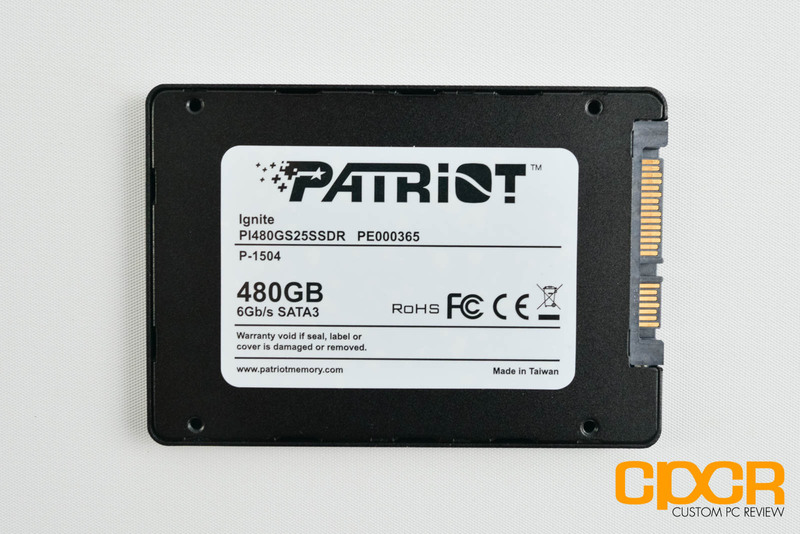 Because of this combination, the Patriot Ignite is able to achieve significantly higher performance than anything else I’ve seen using asynchronous MLC. 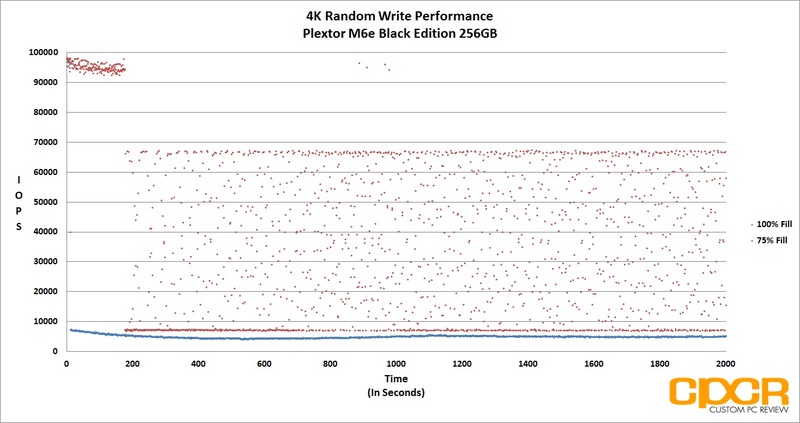 It’s still slightly slower than most entry level MLC or toggle NAND based SSDs, but I think this is still a huge win for Phison being able to achieve this level of performance using asynchronous NAND. 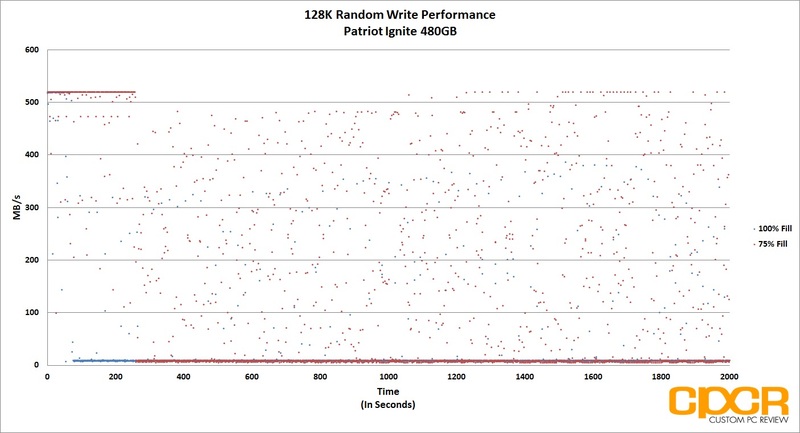 As for the drive as a whole, the Patriot Ignite is perfectly acceptable for most read heavy client workloads. Power consumption on the Patriot Ignite is decent, but it’s overshadowed by slightly more power efficient drives using Samsung, Toshiba, Silicon Motion, and Marvell controllers. 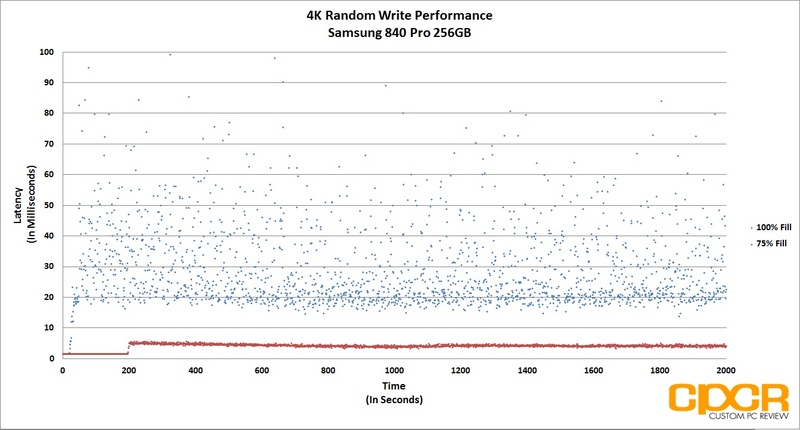 While it’s still a fairly power efficient drive for mobile applications, my first choice for those looking for something for mobile applications would definitely be SSDs powered by Samsung, Toshiba, or Silicon Motion controllers. 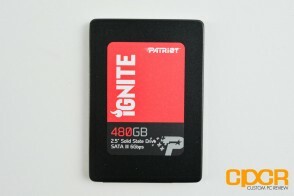 Pricing on the Patriot Ignite 480GB is ~$199.99 (~$0.42/GB) at various online retailers and comes with a relatively standard 3 year warranty. 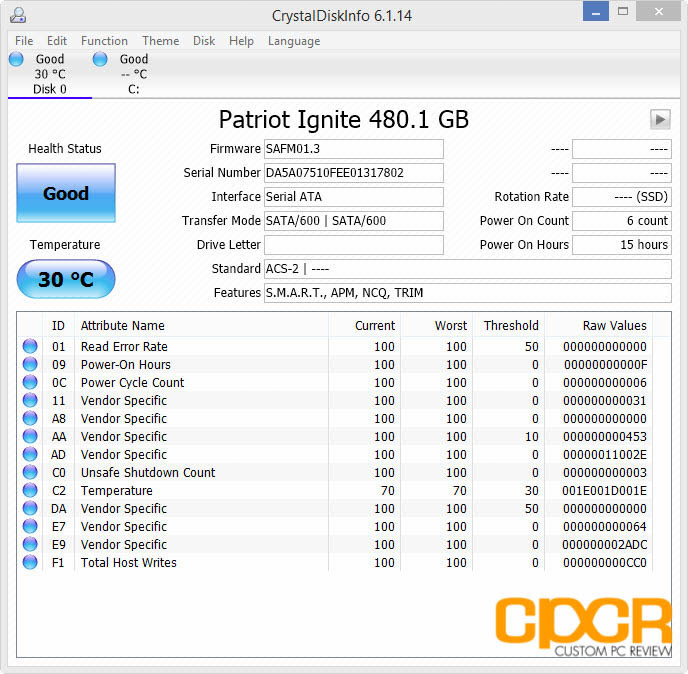 However, with drives from first tier manufacturers such as the Samsung 850 EVO, Crucial BX100, and SanDisk Ultra II regularly retailing at under $0.40/GB, the Patriot Ignite just isn’t all that competitive. 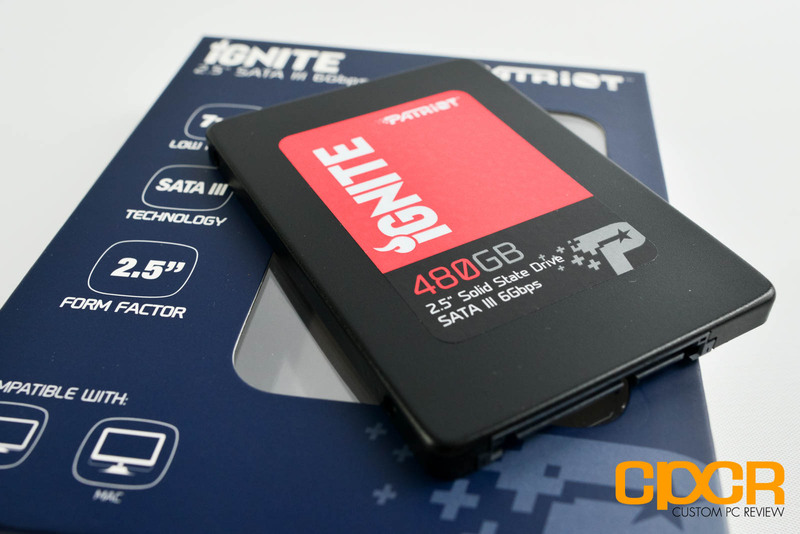 Overall the Patriot Ignite is a decent SSD for users just looking to jump into the SSD for the first time, but it really needs to be priced more aggressively, or it needs to offer a bit more to be competitive. 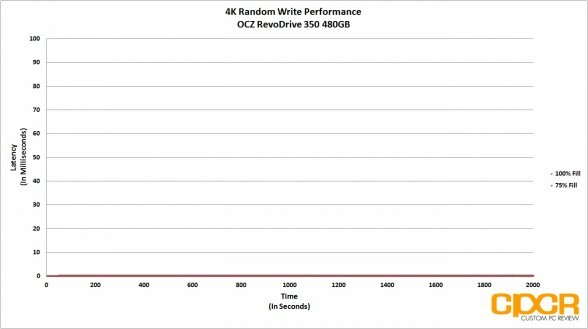 If you can find one for $0.35/GB or less, it’s worth a shot, but otherwise there are cheaper, faster, and more compelling entry level offerings instead.